More than 1,000 dead birds fall from sky in Ark. BEEBE, Ark. � Wildlife officials are trying to determine what caused more than 1,000 blackbirds to die and fall from the sky over an Arkansas town. The Arkansas Game and Fish Commission said Saturday that it began receiving reports about the dead birds about 11:30 p.m. the previous night. The birds fell over a 1-mile area of Beebe, and an aerial survey indicated that no other dead birds were found outside of that area. Commission ornithologist Karen Rowe said the birds showed physical trauma, and she speculated that "the flock could have been hit by lightning or high-altitude hail." Robby King, a wildlife officer for the agency, collected about 65 dead birds, which will be sent for testing to the state Livestock and Poultry Commission lab and the National Wildlife Health Center lab in Madison, Wis.
Signs from God abound and the end of this world is nearer than most people think it is. God's faithful children will soon be with their Father in heaven in a glorious reawakening. However, at the same time the Devil's offspring will perish for their sins. Norovirus bug shuts Morriston Hospital to visitors. Morriston Hospital in Swansea has closed to visitors and seven wards are shut to new patients because of an outbreak of norovirus. A spokesperson said visitors would only be accepted for children and in exceptional circumstances. A ward was closed last month and managers warned the hospital would shut to visitors if more wards were affected. There are about 750 beds at the hospital. A spokesperson for Abertawe Bro Morgannwg University Health Board said seven wards were shut due to norovirus so it decided to close the hospital to visitors. It was suggested the whole hospital could be shut to visitors if a "significant number" of wards were closed through norovirus. Norovirus is a common viral infection which causes diarrhoea and vomiting, and is easily passed from person to person. The incubation period is anything from four hours to three days, and symptoms usually last 12 to 60 hours. Dead birds fall from the sky in Louisiana. Dead birds are falling from the sky, but don't take it as a sign the Seventh Seal of the apocalypse has broken - yet. The rash of mass bird deaths in the South that has thrown many into a doomsday panic can be explained by natural events, officials say, despite apocalyptic interpretations. 450 birds suddenly found dead in Louisiana Tuesday were likely caused by the birds flying into power lines, a state wildlife veterinarian told the press. Several birds showed signs of head, neck beak or back injuries, as opposed to having just fallen out of the sky. Dead birds found in Scotland. STOCKHOLM - Officials say about 50 birds have been found dead on a street in Sweden. Veterinarian Robert ter Horst says the cause of jackdaws' deaths was unclear but that fireworks were set off near the scene Tuesday night. The birds were found dead on Wednesday. Ter Horst says cold weather, difficulties finding food and possible shock from the fireworks could be responsible, leading to the stressed birds either dying from the stress or being run over by vehicles. Five of the dead jackdaws found in the city of Falkoping were being tested. Dead Birds in Sweden, more dead fish in Maryland, New Zealand and Brazil are now added to the phenomenon of dead birds and dead fish reported yesterday in three. 2 Million Dead Fish in Maryland. The animal death toll keeps climbing: first it was thousands of blackbirds and fish in Arkansas and Louisiana, now 2 million more fish are dead in the Chesapeake Bay in Maryland. Most of the casualties are adult spot and juvenile croakers, believed to be killed by "cold-water stress." The air temperature in the bay area was 4.3 degrees lower than average last month. Maryland environmental officials say croakers are especially susceptible to colder waters, but that they have usually left the bay by now. Dead Fish in Arkansas: Why are Fish Floating and Birds Dropping Dead. A hundred thousand dead fish were found floating in the Arkansas river in the northwest part of the state. Dead fish are also being reported inBrazil and New Zealand. Mag 7.1 Earthquake hits Chile. Jan 2, 2011- SANTIAGO, Chile - A magnitude-7.1 earthquake shook southern Chile on Sunday, prompting tens of thousands to flee the coast for higher ground and safety. Australia floods cause "catastrophic" damage. ROCKHAMPTON, Australia (Reuters) - Australia's record floods are causing catastrophic damage to infrastructure in the state of Queensland and have forced 75 percent of its coal mines, which fuel Asia's steel mills, to grind to a halt, Queensland's premier said on Wednesday. The worst flooding in decades has affected an area the size of Germany and France, leaving towns virtual islands in a muddy inland sea, devastated crops, cut major rail and road links to coal ports, slashed exports and forced up world coal prices. "Seventy-five percent of our mines are currently not operation because of this flood," Premier Anna Bligh told local television. "So, that's a massive impact on the international markets and the international manufacturer of steel." The Australian floods, which have cut off 22 towns and affected 200,000 people, have resulted from the La Nina weather phenomenon, which produces monsoonal rains over the western Pacific and Southeast Asia. More young people are winding up in nursing homes. It's no longer unusual to find a nursing home resident who is decades younger than his neighbor: About one in seven people now living in such facilities in the U.S. is under 65. But the growing phenomenon presents a host of challenges for nursing homes, while patients like Martin face staggering isolation. "It's just a depressing place to live," Martin says. "I'm stuck here. You don't have no privacy at all. People die around you all the time. It starts to really get depressing because all you're seeing is negative, negative, negative." The number of under-65 nursing home residents has risen about 22 percent in the past eight years to about 203,000, according to an analysis of statistics from the Centers for Medicare and Medicaid services. That number has climbed as mental health facilities close and medical advances keep people alive after they've suffered traumatic injuries. A new report is stating food prices around the world are the highest in history because of crop shortages in many nations. This is leaving many poor people in debt ridden nations without their regular meals. Many commodities like copper are also at record levels. God was behind Big Bang, universe no accident: Pope. ATICAN CITY (Reuters) - God's mind was behind complex scientific theories such as the Big Bang, and Christians should reject the idea that the universe came into being by accident, Pope benedict said on Thursday. "The universe is not the result of chance, as some would want to make us believe," Benedict said on the day Christians mark the Epiphany, the day the Bible says the three kings reached the site where Jesus was born by following a star. "Contemplating it (the universe) we are invited to read something profound into it: the wisdom of the creator, the inexhaustible creativity of God," he said in a sermon to some 10,000 people in St Peter�s Basilica on the feast day. Job data points to sluggish economy. The U.S. economy added fewer jobs than expected and more Americans dropped out of the work force in December, signs that employers are still slow to hire 19 months after the recession's end. The Euro Zone jobless rate in the 16 countries using euro in the third quarter of 2010 was stable at 10.1 per cent, the highest level since the creation of the single currency in 1999. New thunderstorms brought more pounding rains to a waterlogged coastal community in north-eastern Australia today as a mayor said it could take a year to fully recover from the worst flooding in decades. AZ shooting targets US congresswoman, kills 6. A gunman gravely wounded Arizona Democratic Rep. Gabrielle Giffords and killed a federal judge in a shooting rampage outside a supermarket that left five others dead, including a 9-year-old girl. U. S. Congresswoman Gabrielle Giffords battled for her life on Sunday after an assailant shot her in the head and killed six others as she met with constituents in Tucson. The 40-year-old Democratic lawmaker was in critical condition and doctors were cautiously optimistic she would survive. The suspected gunman was in federal custody as investigators sought a motive in the rare shooting of a U.S. lawmaker and looked for a possible accomplice. Saturday's shooting shocked politicians in Washington, where Congress postponed a vote on health care reform later this week. Following an acrimonious campaign ahead of midterm congressional elections last November, some suggested a climate of political vitriol might have played a role in the shooting. 27 deaths, including 14 decapitated, rock Acapulco. ACAPULCO, Mexico - The image of this beach mecca has taken a new hit from Mexico�s drug violence, with 27 people killed in less than a day, including 14 men whose bodies were found with their heads chopped off at a shopping center. Acapulco has seen fierce turf wars between drug gangs, and the bloodshed is scaring some vacationers away even though little of the violence happens in tourist areas. The decapitation slayings and most of the other killings that occurred in a stretch of just a few hours from Friday night into Saturday also occurred in non-tourism areas. But two police officers were shot to death on a major bayside avenue in front of visitors and locals. The 14 headless bodies, and a 15th intact corpse, were found by police on a street outside a shopping center accompanied by written warnings from a drug cartel, authorities said. Tucson rampage casts light on toxic political tone. WASHINGTON - Politicians of all stripes are bound to be haunted by Rep. Gabrielle Gifford�s warning, 10 months before she was shot, to cool the rhetoric. It's been a year or more of raw politics, with anger spilling over on both sides and gun-related metaphors coming loosely from the lips of some candidates and activists. Giffords, a figurative target of the right, on Saturday became the actual target of a gunman who shot her through the head and killed at least five others. She was critically wounded. But in Pima County, Ariz., Sheriff Clarence Dupnik suggested "all this vitriol" in recent political discourse might be connected to Saturday's shootings. "This may be free speech," he told reporters, "but it's not without consequences." Whatever the motive, the toxic tone of the national debate is certain to draw greater scrutiny. "We do know that politics has become too personal, too nasty and perhaps too dangerous," said Jonathan Cowan, president of the centrist Democratic group Third Way. "Perhaps out of this senseless act some sense can return to our public discourse." In the aftermath of the rampage, the House's newly installed Republican leaders postponed Wednesday's scheduled vote to repeal the new health care law, the issue at the center of the harshest criticisms of Giffords and many other Democrats for the past two years. Lawmakers from both parties were deeply shaken. As we said it would over a year ago on this website, polarization now abounds all over this world today in many nations, and on many fronts. This will increase in the near future as it erupts into seething violence and chaos leading to the end of this earth age as we now know it. The shooting of congresswoman Giffords also fulfills Revelation 13: 3, in the Lord God�s Holy Bible. Therefore, now shall the beast achieve greater speaking power and notoriety through the dragon. He will lead many into the pit of despair and captivity. However, Rev 13: 3 being fulfilled also means the end of this earth age is nearly at hand. It will soon be destroyed by our God to make way for His new day of righteousness to fully appear. Northern India is reeling under cold-wave conditions with 41 people having died in Uttar. In New Delhi, at least 10 homeless people died from the cold weather over the last few days. Floods threaten Australia's third biggest city. BRISBANE (Reuters) � Residents in Australia's third largest city, Brisbane, sandbagged their homes against rising waters on Monday as torrential rain worsened floods that have paralyzed the coal industry in the northeast and now threaten tourism. The worst floods in 50 years have at times covered an area the size of France and Germany combined in Queensland state. Six people have been killed while dozens of towns have been isolated or partially submerged. More monsoon rains are expected all week. Toowoomba, a major town west of Brisbane, was hit by a two-meter-deep wall of mud-filled floodwater which swept two people to their deaths and left others clinging to the tops of vehicles carried along streets by the torrent, police said. In Brisbane, a city of 2 million, people in low-lying areas were given sandbags and warned the worst of the flooding might not occur until Tuesday or Wednesday. More than 100 dead birds found off Calif. Highway. GEYSERVILLE, Calif. - California wildlife officials are trying to figure out what caused the death of more than 100 birds found clustered together just off Highway 101. The Santa Rosa Press Democrat reports that California Highway Patrol officers found the dead birds near the roadway on Saturday and called in the state Department of Fish and Game to investigate. The officers who found the birds described them as small with brown and black feathers. They were intact and had not been shot. The reports come as other, larger bird deaths have been reported in Arkansas, Louisiana and other states. Scores missing in tsunami-like flood in Australia. BRISBANE, Australia - Office windows exploded, cars careened into trees and bobbed in the churning brown water like corks. The deluge washed away bridges and sidewalks; people desperately clung to power poles to survive. Before it was over, the flash flood left at least 10 dead and 78 missing. "The water was literally leaping, six or 10 feet into the air, through creeks and over bridges and into parks. There was nowhere to escape, even if there had been warnings. There was just a sea of water about a kilometer (half a mile) wide. The violent surge in Toowoomba brought the overall death toll from weeks of flooding in Queensland state to 20, a sudden acceleration in a crisis that had been unfolding gradually with swollen rivers overflowing their banks and inundating towns while moving toward the ocean. Queensland Premier Anna Bligh said there were "grave fears" for at least 18 of those missing. The high waters headed next to Australia's third-largest city, Brisbane, where up to 9,000 homes were expected to be swamped. The Brisbane River overflowed its banks Tuesday and officials warned that dozens of low-lying neighborhoods and parts of downtown could be inundated in coming days. But nothing downstream was expected to be as fierce as the flash flood that struck Toowoomba on Monday. It was sparked by a freak storm � up to 6 inches (150 millimeters) fell in half an hour. "There was water coming down everywhere in biblical proportions," Toowoomba council member Joe Ramia told the AP. Tunisia unrest leaves 50 dead, All schools closed indefinitely. The International Federation for Human Rights says up to 50 people have been killed in violence in the African nation of Tunisia over the weekend. The government of the North African nation of Tunisia ordered all schools and universities to be closed indefinitely following deadly rioting and protests linked to anger over unemployment. Over 600 die in Brazil slides, survivors relate horrors. TERESOPOLIS, Brazil - The power was out, but lightning flashes illuminated the horror as villagers watched neighbors' homes vanish under a wall of mud and water, turning neighborhoods into graveyards. Survivors dug at the earth barehanded Thursday, but all they found were bodies. It was a scene of muddy destruction in mountain towns north of Rio, where at least 464 people were killed when torrential rains unleashed mudslides in the pre-dawn hours Wednesday, burying people alive as they slept. Officials would not venture guesses on how many people were missing, but fears were high that the death toll could sharply rise. In the remote Campo Grande neighborhood of Teresopolis, now accessible only by a perilous five-mile (eight-kilometer) hike through mud-slicked jungle, family members pulled the lifeless bodies of loved ones from the muck. They carefully laid the corpses on dry ground, covering them with blankets. ISLAMABAD - A major 7.2 magnitude earthquake rocked a remote area of southwestern Pakistan early Wednesday, shaking many parts of the country and causing tremors as far away as India and the United Arab Emirates. The quake was centered in Baluchistan province, the country's most sparsely populated area, said the United States Geological Service, occurring at 1:30 a.m. local time at a depth of some 50 miles (84 kilometers. Rising rivers continue to swamp Australian towns. MELBOURNE, Australia - Residents of rural communities in southeastern Australia were sent emergency evacuation orders before dawn Wednesday, urged to leave their homes with three days of supplies just before floodwaters breached levees and swamped the town. Australia's mining industry has borne the brunt of the economic impact from massive floods in Queensland state, but agriculture, construction, transport, tourism and retail have also been hit. Student tracking finds limited learning in college. A new study provides disturbing answers to questions about how much students actually learn in college, for many, not much, and has inflamed a debate about the value of an American higher education. The research of more than 2,300 undergraduates found 45 percent of students show no significant improvement in the key measures of critical thinking, complex reasoning and writing by the end of their sophomore years. One problem is that students just aren't asked to do much, according to findings in a new book, "Academically Adrift: Limited Learning on College Campuses." Half of students did not take a single course requiring 20 pages of writing during their prior semester, and one-third did not take a single course requiring even 40 pages of reading per week. More Army Guard, Reserve soldiers committing suicide. An increase in suicides among National Guard soldiers largely in states across the Midwest, such as Missouri and Wisconsin, is responsible for a 24% increase in deaths. Citizen soldiers are killing themselves at record rates, the Army announced on Wednesday. Last year, 145 Army Reservists and National Guardsmen committed suicide. Hospital: Giffords moves to rehab facility today. TUCSON, Ariz. - Fresh from a sunny outing that brought a smile, Gabrielle Giffords is moving to a Houston rehab center where her husband hopes the "fighter" continues on the path to a full recovery. University Medical Center staffers took the wounded congresswoman to a deck at the hospital Thursday, where she breathed in the fresh air and felt the sun, trauma surgeon Peter Rhee said. "I saw the biggest smile she could gather," Rhee said. "We are very happy to have her enjoying the sunshine of Arizona." She has been making progress nearly every day in her recovery from a bullet wound to the brain. CDC Report Finds 8% of Americans Have Asthma. WEDNESDAY, Jan. 12 (HealthDay News) - Just over 8 percent of Americans have asthma, according to the latest estimates from the U.S. Centers for Disease Control and Prevention. Crunching the numbers, the authors found that 24.6 million Americans (or 8.2 percent) have asthma. However, the percentage of people with asthma was found to be higher than the national average among specific groups, including women, children, non-Hispanic blacks and Puerto Ricans. People living below the poverty line, as well as residents of both the Northeast and the Midwest, were also found to have higher-than-average rates of asthma. The authors noted that, in 2007, emergency rooms across the United States saw 1.75 million asthma-related visits and 456,000 asthma-related hospitalizations. By 2008, asthma patients were missing 14.2 million days of work each year, as well as 10.5 million school days, the report stated. Two people critical with swine flu in Hong Kong. HONG KONG (AFP) - Two people were in critical condition in a Hong Kong hospital suffering from swine flu, according to health officials, a year and a half after an outbreak killed more than 80 people in the city. The Chinese financial centre is nervous about infectious diseases, following the outbreak of the SARS virus in 2003, which killed 300 people in the city and a further 500 around the world. Hong Kong, a city of seven million, has some of the world's most densely populated neighborhoods, prompting a panicked response from many residents over news of a disease outbreak. Some wear surgical masks to avoid infection. Japan culls 10,000 chickens to contain bird flu. TOKYO (AFP) - Japan has begun slaughtering some 10,000 chickens at a poultry farm in western Miyazaki prefecture in a bid to contain an outbreak of bird flu, according to the local government. Officials in the prefecture, 900 kilometres (560 miles) southwest of Tokyo, said 36 chickens were found dead on Friday at the poultry farm. Preliminary tests confirmed that six of the birds had died of the H5 subtype of the avian flu virus, a highly contagious strain, the officials said. In an effort to prevent a larger outbreak, the local government decided to slaughter all the chickens at the farm while setting up 20 checkpoints for disinfection and banned any movement of chickens within 10 kilometres. It was the first bird flu outbreak since 2007 in Miyazaki, where a foot-and-mouth outbreak also forced the slaughter of almost 300,000 farm animals last year. Food price rises 'may cause unrest': ministers. BERLIN (AFP) - Agriculture ministers from Europe, Africa and Canada warned Saturday of dire consequences, including riots and social unrest, unless action is swiftly taken to improve food security and tackle price hikes. The ministers from Germany, France, Poland, Ukraine, Morocco, Kenya, and Canada met in Berlin to prepare for a larger gathering which was to begin later in the day. The seven agriculture ministers were unanimous on the causes and consequences of food shortages, which are pushing prices sharply up and, they agreed, renewing the threats of social instability and the sort of food riots witnessed in Mozambique, Egypt and elsewhere last year. "We will see them again in 2011 and 2012 if we don't rapid take the necessary decisions together," warned French minister Bruno Le Maire. There was apparently broad agreement, at the Green Week meeting in the German capital, on some steps to tackle the problems; increased production with help from higher yields, opening of borders with trade stimulation while fighting against the speculators who ramp up the market. Food may indeed cause unrest and riots in the near future. However, what these agricultural ministers must understand is their nations and the rulers in them are having food problems because they have refused the food and living water of their Creator. They have also polluted their nations with innocent blood which has not been rectified or cleansed in any way. Therefore, is God�s wrath and fury upon them becoming more severe in this late day and time. Our God is destroying the crops and water supply in these nations to make way for His new day and His new time of cleansed refreshment to begin. Then shall love, grace, and mercy abound to the children and servants who love God and His Son, Jesus, while everyone else here will surely perish for their wickedness and their sins. Climate change: Dogs of law are off the leash. PARIS (AFP) - From being a marginal and even mocked issue, climate-change litigation is fast emerging as a new frontier of law where some believe hundreds of billions of dollars are at stake. Compensation for losses inflicted by man-made global warming would be jaw-dropping, a payout that would make tobacco and asbestos damages look like pocket money. Imagine: a country or an individual could get redress for a drought that destroyed farmland, for floods and storms that created an army of refugees, for rising seas that wiped a small island state off the map. In the past three years, the number of climate-related lawsuits has ballooned, filling the void of political efforts in tackling greenhouse-gas emissions. What these fools of the world do not understand is our Lord God is the one who is changing this world before their eyes. It is God who is destroying the old order here by taking away a great portion of the food, the animals, and the water we drink today. God is also showing us the power He possesses to make many cities into desolate heaps and burning decay. Therefore, these fools better change their evil ways and realize that their Creator has them in His sight to perish for their unruly and undeniable sins. Egyptians defy ban on protests, demand Mubarak go. CAIRO (Reuters) - Thousands of Egyptians defied a ban on protests by returning to Egypt's streets on Wednesday and calling for President Hosni Mubarak to leave office, and some scuffled with police. Activists had called on Egyptians to take to the streets again to end Mubarak's 30-year rule after Tuesday's "Day of Wrath" involving anti-government protests across Egypt in which three protesters and one policeman were killed. On Tuesday some 20,000 demonstrators, complaining of poverty, unemployment, corruption and repression and inspired by this month's downfall of the president of Tunisia, had turned out in cities across Egypt to demand that Mubarak step down. Three protesters died in the eastern city of Suez, and the policeman was killed in Cairo. Police used riot trucks on Wednesday to break up a crowd of as many as 3,000 people who had gathered outside a Cairo court complex, one of the places where demonstrations had started on Tuesday. New U. S, Home sales fall to 47 year low. WASHINGTON - Buyers purchased the fewest number of new homes last year on records going back 47 years. Sales for all of 2010 totaled 321,000, a drop of 14.4 percent from the 375,000 homes sold in 2009, the Commerce Department said Wednesday. It was the fifth consecutive year that sales have declined after hitting record highs for the five previous years when the housing market was booming. The year ended on a stronger note. Buyers purchased new homes at a seasonally adjusted annual rate of 329,000 units in December, a 17.5 percent increase from the November pace. Orange crops squeezed by cold weather, incurable disease. Orange juice, an American breakfast table staple, may eventually become a rare treat if damaged crops continue to sour the citrus industry. For the second consecutive year, Florida farmers have lost much of their crop because of cold weather. As a result, the cost of orange juice is expected to spike this year. And unfortunately, nature�s havoc isn�t farmers� only concern. A quick-spreading bacteria, called �citrus greening� is threatening to destroy groves and hurt the citrus industry. According to USA Today citrus greening has destroyed groves in the U.S., Brazil, Asia and Africa. Detected in Florida in 2005, it leaves fruit sour, malformed and unusable. Eventually, it kills the tree. The disease has been particularly devastating because it takes years for citrus trees to reach peak production, and the disease targets young trees, making it difficult for growers to replace those that have been lost. Wheat Crops damaged worldwide. By far the biggest fall in grains output was in drought-affected Russia, with big reductions too in the EU, the US, Kazakhstan and Ukraine. A further rise in world grains consumption is forecast in 2010-11, to 1,787m. tons. In China, total precipitation has been scarce since October 2010, with some locations on the North China Plain receiving less than 10 percent of normal precipitation through December 2011. A lack of snow cover has deprived the dormant winter wheat crop of valuable moisture and protection from frigid temperatures and winds. Seasonably dry and cold weather is expected to continue for the next two weeks. A majority of the damage to the Argentine corn crop has been done already. A new report finds that the extremely wet conditions and flooding in eastern Australia will render at least one-third of the country�s large wheat crop unfit for flour milling. IMF Sees Instability as a Recovery Risk. The uneven global recovery continues apace but sovereign debt and financial sector risks, particularly in Europe, could threaten global stability, the International Monetary Fund said. Malaysia releases lab mosquitoes to fight denque. Malaysia released about 6,000 genetically modified mosquitoes into a forest in the first experiment of its kind in Asia aimed at curbing dengue fever, officials said. A tale of Two Seed Farmers: Organic Vs Engineered. In Oregon, a battle has erupted between farmers growing genetically engineered sugar beets and organic farmers who worry about cross-pollination. The question is whether the farms can be good neighbors. Atlantic Weather May be Key Culprit in Fish Decline. Declining catches of striped bass may not always be due to over fishing. Researchers say a periodic weather pattern in the North Atlantic may be responsible for the low fish numbers. And understanding how it works may help set fishing limits in the future. Greenland. Residents of a town on the western coast of Greenland may have seen the sun peek over the horizon 48 hours earlier than its usual arrival on Jan. 13, sparking speculation, and disagreement. The town of Ilulissat sits just above the Arctic Circle, meaning its residents had been without any sunlight for a good chunk of the winter, and traditionally they'd expect to see their "first sunrise" on Jan. 13. News that the sun had peeked over the horizon on Jan. 11 appeared online in British and German-language publications and it appears to trace back to a story by the Greenland broadcasting company KNR that quotes residents who noticed the change. Egypt turmoil rattles Middle East stock markets. DUBAI, United Arab Emirates - Investors nervous about the instability gripping Egypt drove stocks down sharply across the Middle East as markets reopened Sunday following a weekend of violent protests. The losses, led by a drop of more than 4 percent in the business hub of Dubai, reflect concerns the unrest that has roiled the Arab world's most populous country and nearby Tunisia could spread, jeopardizing the economic recovery across the region. "There's this contagion effect, where investors are thinking: Well, is this going to spread out across the Arab world?" said Haissam Arabi, chief executive of Gulfmena Alternative Investments, a fund management firm in Dubai. Gangs free militants, foreigners try to flee Egypt. CAIRO - Gangs of armed men attacked at least four jails across Egypt before dawn Sunday, helping to free hundreds of Muslim militants and thousands of other inmates as police vanished from the streets of Cairo and other cities. The U.S. Embassy in Cairo told its citizens in Egypt to consider leaving the country as soon as possible, and said it had authorized the voluntary departure of dependents and non-emergency employees, a display of Washington's escalating concern about the stability of its closest Arab ally. Turkey was evacuating about 750 citizens and the Chinese government warned against travel to Egypt. Private tour groups and corporations began trying to evacuate their clients and expatriate employees. But dozens of flights were canceled and delayed and crowds filled Cairo International Airport, desperate and unable to leave. The army sent hundreds more troops and armored vehicles onto the streets of Cairo and other cities but appeared to be taking little action against gangs of young men with guns and large sticks who were smashing cars and robbing people. At least one Nile-side shopping mall in Cairo was on fire after being looted the previous day. Banks were closed on orders from Egypt's Central Bank, and the stock market was shut on what is normally the first day of the trading week. Markets across the Middle East dropped on fears about the instability's damage to Egypt's economy, and the region's. The Arab world's most populous nation appeared to be swiftly moving closer to a point at which it either dissolves into widespread chaos or the military expands its presence and control of the streets. A broader and tougher military role could be welcomed by increasingly fearful Egyptians but would run a risk of appearing to place the army on the side of the regime and antagonizing protesters. The demonstrators from all segments of Egyptian society have taken to the streets for nearly a week calling for President Hosni Mubarak, 82, to step down. Thousands march against corruption in India. NEW DELHI - Thousands of people holding placards and shouting slogans have protested in India's capital against what they called widespread corruption and poor governance. At least 5,000 people marched Sunday through central New Delhi to show their anger over recent scandals that hit Prime Minister Manmohan Singh's government. A telecommunications scandal cost the country billions of dollars and paralyzed Parliament's four-week session in December. India's image was also sullied by allegations of corruption, construction delays and cost overruns during last October's Commonwealth Games. The government had no immediate comment. How Was Egypt's Internet Access Shut off? Egyptians earlier this week took to the Web- Facebook and Twitter , in particular, as a means of organizing their protests against Egyptian President Hosni Mubarak 's three-decade-old government. As of Friday morning, however, there no longer was much of a Web to take to, at least not in Egypt. In an unprecedented turn of events, at 12:34 A.M. local time in Cairo five of the country's major Internet service providers (ISPs) shut down their connections to the Internet. The internet, or the new Tower of Babel today, will become a nightmare for the people who have instigated it and promoted it against God 's will, authority here, and purpose for this world. These corrupt people will soon carry the burdens, troubles, and millstones God will give them upon their shoulders for creating this fearsome beast. They will have their prosperity and their newly acquired wealth looted and destroyed by the serpent for the fact they tried to promote evil and decay all over this world through this web of deceit. For God will use the internet to destroy them and destroy all of His enemies. God will use the hand held devices they now talk through to bring violence from border to border, and evil into their own homes. The serpent today will also use this corrupt internet beast to choose which one of the users on it he can destroy before God's new day and new time of the Passover refreshment arrives. Egypt's upheaval takes dangerous turn. - Violence erupts in the streets of Cairo as thousands of Mubarak supporters attack protesters. CAIRO - Thousands of supporters and opponents of President Hosni Mubarak battled in Cairo's main square Wednesday, raining stones, bottles and firebombs on each other in scenes of uncontrolled violence as soldiers stood by without intervening. Government backers galloped in on horses and camels, only to be dragged to the ground and beaten bloody. the one of the fighting's front lines, next to the famed Egyptian Museum at the edge of Tahrir Square, pro-government rioters blanketed the rooftops of nearby buildings and dumped bricks and firebombs onto the crowd below, in the process setting a tree ablaze inside the museum grounds. At each of the six entrances to the sprawling plaza, the two sides pummeled each other with hurled chunks of concrete and bottles. Some among the more than 3,000 government supporters waved machetes as their anti-Mubarak rivals filled the air with a ringing battlefield din by banging metal fences with sticks. Within the square, dozens of men and women from the anti-Mubarak camp pried up the sidewalk with bars, broke it into pieces and ferried the piles of ammunition in canvas sheets to their colleages at the front. The health minister announced one dead, a person in civilian clothes who may have been policeman, who fell off a nearby bridge � and nearly 600 injured. Bloodied young men staggered or were carried into makeshift clinics set up in mosques and alleyways by the anti-government side. Colossal storm parilyzes much of the U. S. - 31 states involved. A storm billed as the worst in decades dumps more than 20 inches of snow on parts of the Midwest before heading east. CHICAGO - A massive storm billed as the worst in decades barreled into the Northeast on Wednesday, paralyzing big cities and small towns alike with deep snow and thick ice, stranding hundreds of motorists and shuttering airports and schools across the Midwest. The 20.2 inches of snow that fell by midday in Chicago made the storm the city's third-largest on record, with still more coming down. A foot or more was dumped on parts of Missouri, Indiana, Kansas, Oklahoma and upstate New York. New York City was expected to get up to three-quarters of an inch of ice before the mix of sleet and freezing rain warms up to rain. The storm was, if not unprecedented, extraordinarily rare, National Weather Service meteorologist Thomas Spriggs said. "A storm that produces a swath of 20-inch snow is really something we'd see once every 50 years - maybe," Spriggs said. Forecasters warned ice accumulations would knock down some tree limbs and power lines across the storm's more than 2,000-mile path. Multiple roof and structure collapses, but no injuries were reported in New York, Connecticut and Massachusetts early Wednesday. Powerful cyclone strikes Australia's northeast. CAIRNS, Australia - A massive cyclone struck northeastern Australia early Thursday, tearing off roofs, toppling trees and cutting power to thousands, the most powerful storm to hit the area in nearly a century. The eye of Cyclone Yasi roared ashore at the small resort town of Mission Beach in Queensland state, battering the coast known to tourists as the gateway to the Great Barrier Reef with heavy rain and howling winds gusting to 186 mph (300 kph). Yasi compounded the suffering for Queensland, waterlogged by months of flooding that killed 35 people and inundated hundreds of communities. It struck an area north of the flood zone, but the Bureau of Meteorology said it would bring drenching rains that could cause floods in new parts of the state. Witnesses reported roofs being ripped off, buildings shaking and trees flattened under the power of the winds. Earthquake shakes Alaska, -- A magnitude 5.9 earthquake shook several communities on the Alaska Peninsula, but there have been no immediate reports of damage. Worst winter in decades threatens North Korea crops. A news report says that North Korea is suffering the harshest winter in decades, raising concerns about food production for their people this year. U N warns of Asian foot and mouth disease. - Foot and mouth disease has spread so rampantly in South Korea that the United Nations is warning all Asian nations to tighten import controls and begin vaccinations to prevent a continent-wide outbreak if not contained soon. Egypt ruling party leaders resign but regime holds. CAIRO - The leadership of Egypt's ruling party stepped down Saturday as the military figures spearheading the transition tried to placate protesters without giving them the one resignation they demand, President Hosni Mubarak's. The United States gave key backing to the regime's gradual changes, warning of the dangers if Mubarak goes too quickly. But protesters in the streets rejected the new concessions and vowed to keep up their campaign until the 82-year-old president steps down. Egyptian Gas Exports to Israel, Jordan May Be Halted Two Weeks. Egyptian natural-gas exports to Israel and Jordan may be halted for as much as two weeks after an explosion damaged a pipeline in the Sinai Desert yesterday. The incident at El Arish in the northeastern Sinai was an act of �terror� carried out by �foreign hands,� state TV said, while the Oil Ministry said a gas leak caused the blast. It may take one to two weeks to repair the pipeline. About 40 percent of gas consumed in Israel is imported from Egypt. The disruption to the pipeline has political and symbolic ramifications beyond the impact on fuel supplies to Egypt�s neighbors, particularly for Israel. President Hosni Mubarak�s 30-year rule has been shaken by almost two weeks of popular demonstrations, prompting questions about what political orientation a successor government might have. Farmers watch harsh winter crush their livelihoods. HARTFORD, Conn. - For Northeastern farmers long used to coping with all sorts of cold-weather problems, this winter presents a new one: snow and ice that's bringing down outbuildings, requiring costly repairs, killing livestock and destroying supplies. Farmers in Connecticut alone have lost at least 136 barns, greenhouses, sheds and other structures as snow measured in feet, not inches, accumulated while January passed without a thaw. Losses still are being totaled by the state Agriculture Department, but no one can remember a more destructive winter. The Northeast is suffering through one of its most brutal winters in years, with cities all along the seaboard reporting snow piling up at a record-setting pace. Connecticut has been especially hard-hit, with Hartford reporting 81 inches since Dec. 1, compared with an average of 46 inches. A huge storm that swept in from the Plains this week proved to be a tipping point, dropping heavy ice and sopping rain that coated or soaked into snow piled on rooftops. Houses and commercial buildings crumbled, along with farm buildings, which tend be older or less sturdy. Buildings are coming down and this is way outside the box of what is a normal challenge. No human deaths have been reported, but animals haven't been so lucky. In Northumberland, N.Y., 25 cows were killed and 200 rescued when one side of a barn's 400-foot-long peaked roof collapsed Wednesday night. In Connecticut, 85,000 chickens were killed when a coop collapsed and 14 dairy cows and the Brookfield calf were killed, including seven cows lost when two buildings collapsed at a farm in Ellington. Japanese Volcano May Be Headed for Big Bang. Japanese officials urged more than 1,000 people to evacuate today, as the Shinmoedake volcano's first eruption in 52 years rages on, The order is not mandatory, however, and some are opting to stay in their homes. But vulcanologists warn that the eruptions, which have been spewing ash and debris into the air since Wednesday, bear an eerie similarity to a set of catastrophic blasts from nearly 300 years ago, so they fear a bigger blast is coming. Strokes rising fast among the young and middle-aged. The first large study of hospitalizations reveals 15-to-34-year-old men are particularly at risk. Strokes are rising dramatically among young and middle-aged Americans while dropping in older people, a sign that the obesity epidemic may be starting to shift the age burden of the disease. The numbers, reported Wednesday at an American Stroke Association conference, come from the first large nationwide study of stroke hospitalizations by age. Government researchers compared hospitalizations in 1994 and 1995 with ones in 2006 and 2007. The sharpest increase, 51 percent, was among men 15 through 34. Strokes rose among women in this age group, too, but not as fast, just 17 percent. Strokes are rising dramatically among young and middle-aged Americans while dropping in older people, a sign that the obesity epidemic may be starting to shift the age burden of the disease. Egypt army takes control, sign Mubarak on way out. CAIRO - Egypt's military announced on national television that it stepped in to "safeguard the country" and assured protesters that President Hosni Mubarak will meet their demands in the strongest indication yet that the longtime leader has lost power. In Washington, the CIA chief said there was a "strong likelihood" Mubarak will step down Thursday. State TV said Mubarak will speak to the nation Thursday night from his palace in Cairo. The military's dramatic announcement showed that the military was taking control after 17 days of protests demanding Mubarak's immediate ouster spiraled out of control. US intel chief says terror still top threat to US. The nation's head intelligence official says terrorism is the top national security threat facing the U.S. homeland, and job No. 1 for the intelligence community. In remarks to a House committee Thursday, Director of National Intelligence James Clapper said al-Qaida's core in Pakistan and its offshoots continue to be damaged by U.S. counterterrorism efforts. He says intelligence cooperation has averted potentially deadly attacks over the past year, like the package bombs sent on two U.S.-bound cargo planes. But Clapper says al-Qaida's offshoots in Yemen and Somalia will probably grow stronger. He said the intelligence committee also is focused on the protests in Egypt, and the unrest across the Arab world, fending off criticism that intelligence officials had missed signs of looming turmoil there. Rep. Giffords speaks for first time since shooting. HOUSTON - Rep. Gabrielle Giffords is able to speak: She asked for toast at breakfast one recent morning. Her ability to say even just a word, a month after being shot in the head is remarkable and has pleased her family, friends and doctors. It may also provide valuable clues about the condition of her injured brain. "We're elated at this," said her spokesman C.J. Karamargin, who added that she is speaking "more and more." "We always knew Gabby is a fighter and that she's not going to let this thing win. And you know, every day is proof of that." Few details have emerged about her recovery since she began intensive rehabilitation at TIRR Memorial Hermann hospital late last month. But doctors not involved in her care said her simple request for toast could indicate higher level cognition. Shark attacks rose in 2010 to highest in decade. Sharks launched 79 unprovoked attacks on humans in 2010, the highest number in a decade, US researchers have found. Six people died from unprovoked attacks, up from an average of 4.3 over the past 10 years, University of Florida scientists said. Thirty-two attacks occurred in North American waters, 14 off Australia and eight in South African waters. Scientists say reported attacks have risen over the past century as humans spend more leisure time in the water. The 2010 figure was up from 63 in 2009, and above the yearly average over the past decade of 63.5. Thousands demand reforms in Algeria; 400 arrested. Algers, Algeria - Heavily outnumbered by riot police, thousands of Algerians defied government warnings and dodged barricades to rally in their capital Saturday, demanding democratic reforms a day after mass protests toppled Egypt's autocratic ruler. Protesters chanting "No to the police state!" and brandishing signs that read "Give us back our Algeria" clashed with baton-wielding police in helmets and visors. Organizers said more than 400 people were briefly detained, but aside from some jostling between police and protesters no violence was reported. The opposition said demonstrators' bold defiance of a long-standing ban on public protests in Algiers marked a turning point. "This demonstration is a success because it's been 10 years that people haven't been able to march in Algiers and there's a sort of psychological barrier," said Ali Rachedi, the former head of the Front of Socialist Forces party. "The fear is gone." Republicans take a $100 billion whack at Obama budget. In a move that has �tea party� written all over it, Republicans in the House of Representative propose to cut spending for the rest of this fiscal year by what they claim is �the largest single discretionary spending reduction in the history of Congress.� Among those programs that would be facing steep cuts: environmental protection, renewable energy, transportation (including high-speed rail), housing, community health centers, border security, the Peace Corps, and Pell Grants for low-income college students. The Corporation for Public Broadcasting (CPB) and AmeriCorps would be eliminated. Also, the EPA would be prohibited from regulating greenhouse gas emissions that cause global warming. Strong quake jolts Chile; magnitude 6.8. CAUQUENES, Chile - A magnitude-6.8 earthquake struck central Chile Friday, centered in almost exactly the same spot where last year's magnitude-8.8 quake spawned a tsunami and devastated coastal communities. Electricity and phone service were disrupted and thousands of people fled to higher ground following Friday's quake, but the government quickly announced that there was no risk of a tsunami, and there were no reports of damage or injuries. In the following hours, a dozen aftershocks ranging from magnitude-3.9 to magnitude-6.3 shook the seismically active area. US trade chief urges Europe to open market to GM foods. BRUSSELS (AFP) - A top US trade official said she will bang down the door of the European Commission Thursday in a bid to break a longstanding impasse blocking the march of genetically-modified foods. Fall of Mubarak Shakes Middle East. Egyptian President Hosni Mubarak stepped down after 18 days of unrelenting protests, handing power to the military and opening the door to an uncertain new course for the Arab world's most populous country, and for the entire Middle East. A Man Needed Abroad, Reviled at Home. Mubarak's resignation ends a reign of nearly three decades atop the Arab world's most populous country and could come to stand as the high-water mark in the wave of Arab discontent now rolling across the Middle East. Virus, Parasite May Combine to Increase Harm to Humans. A parasite and a virus may be teaming up in a way that increases the parasite's ability to harm humans, scientists at the University of Lausanne in Switzerland and Washington University School of Medicine in St. Louis recently reported in Science. When the parasite Leishmania infects a human, immune system cells known as macrophages respond. However, some LeishmaniaLeishmania in Central and South America tend to cause a disfiguring form of disease that erodes the soft tissues around the nose and mouth. "This is the first reported case of a viral infection in a pathogen of this type leading to increased rather than reduced pathogenicity," says Stephen Beverley, PhD, the Marvin M. Brennecke Professor and head of the Department of Molecular Microbiology at Washington University School of Medicine. "It raises a number of important questions, including whether we can use antiviral strategies to reduce the damage caused by forms of Leishmania that carry viruses." Leishmania strains are infected with a virus that can trigger a severe response in macrophages, allowing the parasite to do more harm in animal infections. In humans, the parasite's viral infection may be why some strains of infection, known as leishmaniasis, affects an estimated 12 million people worldwide. It is mainly spread by sand fly bites and is a major public health problem in the Mediterranean basin, Asia, Africa, the Middle East, Central and South America and a potential hazard to travelers and military personnel. Symptoms include large skin lesions, fever, swelling of the spleen and liver, and, in more serious forms of the disease, disfigurement and death. Rain in Saskatchewan, revolution in Egypt: How soaring food prices helped topple Hosni Murbarak dictator. Heavy rains and flooding were widespread across Canada's prairie breadbasket last summer, helping to drive up food prices around the globe. Did wet weather last summer in Saskatchewan help bring down Hosni Mubarak? The surprising answer is yes, and the chain of events that links a poor 2010 wheat harvest in Western Canada to recent political turmoil in North Africa and the Middle East � which culminated Friday in the forced resignation of Mubarak, the much-loathed Egyptian president � is raising difficult questions about world food production amid the cries of joy emanating from Tahrir Square in Cairo. When a well-educated but impoverished vegetable seller in Tunisia set himself on fire in December, an act of protest widely viewed as the spark that unleashed this young year's unrest across the Arab world, soaring food prices were identified as a major source of grievances in each country swept up in the furor, including Egypt, Jordan, Yemen and Algeria. China. Drought threatens crops, UN food agency warns. A severe winter drought is threatening crop production in China, the world's biggest wheat provider, the UN's Food and Agriculture Organization (FAO) said in an alert issued Tuesday. Substantially below-normal rainfall since October in Northern China has not only put the crop at risk but has also caused shortages in drinking water affecting over 2.57 million people and their livestock, FAO said. "The ongoing drought is potentially a very serious problem," the Rome-based agency's alert said, adding that the main affected provinces -- around 5.16 million hectares -- represent two-thirds of national wheat production. World food prices reached their highest level ever recorded in January and are set to keep rising for months, the agency said last week, warning that the hardest-hit countries could face turmoil. MANILA/MILAN, - World food prices hit a record in January and recent catastrophic weather around the globe could put yet more pressure on the cost of food, an issue that has already helped spark protests across the Middle East. Up for the seventh month in a row, the closely watched Food and Agriculture Oganization's Food Price Index on Thursday touched its highest level since records began in 1990, and topped the peak of 224.1 in June 2008, during the food crisis of 2007-08. "The new figures clearly show the upward pressure on world food prices is not abating. These high prices are likely to persist in the months to come," FAO economist and grains expert Abdolreza Abbassian said in a statement. Surging food prices have come back into the spotlight after they helped fuel the discontent that toppled Tunisia's president in January and have spilled over to Egypt and Jordan, raising expectations other countries in the region would secure grain stocks to reassure their populations. World Bank President Robert Zoellick urged global leaders to "put food first" and wake up to the need to curb increased price volatility. "We are going to be facing a broader trend of increasing commodity prices, including food commodity prices," he told Reuters in an interview. A series of weather events hitting key crops is likely to keep up the pressure on food prices as a massive cyclone batters Australia, a major winter storm ravages United States crop belts and flooding hits Malaysia, a key commodity producer. Drought in the Black Sea last year, heavy rains in Australia, dry weather in Argentina and anticipation of a spike in demand after unrest in North Africa and the Middle East have already pushed the price of wheat to its highest in 2 1/2 years. A mix of high oil and fuel prices, growing use of biofuels, bad weather and soaring futures markets pushed up prices of food in 2007-08, sparking violent protests in countries including Egypt, Cameroon and Haiti. It is the time of the second great famine of seven years upon this earth. It is also the time of the seven vials to be poured out, upon this earth. This famine is happening just like the first one happened in Egypt when Joseph was second in command under pharaoh, long ago. In both of these famines God showed that He reined supreme all over this world. Today our God is changing our old order with a sifting and heaving process that no one can escape from. God is also changing the old rules people followed which now do not apply here anymore. Therefore, in the coming months shall food become even scarcer as many people are driven to violence and shame because of their starving and confused minds. They will starve in their bodies and in their minds because they have refused God�s words of yesterday and today. In the end before God�s new day appears His punishment of judgment will be severe upon them for their iniquity, their idol worship, and their sins today. Russia's fish struggle as winter drags on. ST. PETERSBURG, Russia - As the long Russian winter drags on, fish in the ponds of St. Petersburg become increasingly desperate for oxygen, clustering in vast, thrashing masses at shrinking holes in the ice. Swimmers who brave the frigid temperatures for an invigorating dip find themselves stroking through swarms of fish that flock to the open water. The fish are so thick that humans can easily reach out and catch them with their hands. Not only does ice block oxygen that could be diffused into the water from the air, but it also impedes sunlight from reaching oxygen-generating plants and algae in the water. US study links pesticides to Parkinson's disease. WASHINGTON (AFP) - US researchers said Friday they have found that people who used two specific varieties of pesticide were 2.5 times as likely to develop Parkinson's disease. The pesticides, paraquat Rotenone is approved only for use in killing invasive fish species. "Rotenone directly inhibits the function of the mitochondria, the structure responsible for making energy in the cell," said study co-author Freya Kamel, a researcher at the National Institute of Environmental Health Sciences. "Paraquat increases production of certain oxygen derivatives that may harm cellular structures. People who used these pesticides or others with a similar mechanism of action were more likely to develop Parkinson's disease." The study examined 110 people with Parkinson's disease and 358 people who served as a control group from the Farming and Movement Evaluation (FAME) Study. Chaos as troops fire on crowds in Bahrain. Clashes turn ugly as demonstrators defy a government ban and swarm toward a central square. Fifty people were injured in the clashes. Big crowds in east of Libya defy police crackdown. TRIPOLI (Reuters) - Thousands protested in Libya's second city, Benghazi, on Friday in the worst unrest of Muammar Gaddafi's four decades in power, and Amnesty International said 46 people had been killed in a three-day police crackdown. Protests fired by uprisings in neighboring Tunisia and Egypt have produced unprecedented scenes in the oil exporting country, but tight government control and media restrictions reduced the amount of information emerging to a trickle. Amnesty quoted sources at a hospital in Benghazi, the focus for the violence, as saying the most common injuries were gunshot wounds to the head, chest and neck. Officials have given no death toll, or commented directly on the unrest. This alarming rise in the death toll, and the reported nature of the victims' injuries, strongly suggests that security forces are permitted lethal use of force against unarmed protesters calling for political change. From Libya to Bahrain, Mideast autocracy under fire. Cairo - The stunning victories of Tunisians and Egyptians in ousting their entrenched dictators have set imaginations alight across the Middle East like nothing since Gamal Abdul Nasser's fiery anticolonial rhetoric in the 1950s. "We assumed that if one day an uprising emerged, it would be at the hands of a bold leader. Another strongman to replace the ones we didn't like," wrote popular Jordanian blogger Naseem Tarawnah in a letter of thanks to the Egyptian people. "Never, in our wildest imaginations, did we think this uprising would come from the people. Whatever happens, this is something no one can take away from them, or from us. It has been embedded in our memories." Now, the beleaguered ship of Middle Eastern autocracy is under an assault unparalleled since the post-World War II revolutions that brought independence to much of the region. Tunisia was the first shot across the bow. But the upheaval in Egypt, the Arab world's largest country, has unleashed a volley of fire from Libya to Iran. Man is already destroying the old order that is here now by his own hands. He is destroying it himself by the fact that he has been communicating his evil desires with other evil people similar to him. Therefore, many nations will fall prey to the evil and idolatry that is in them now. For as we have stated before on this website, God will use man's own evil desires and sinful intent, through the internet, to destroy him and to destroy his whole house. Only the sons and daughters of the Lord God and His Son, Jesus, will be rescued, resurrected, and saved. Therefore, shall the culmination of the end of this earth age soon take place with tumult, rioting, trouble, and travail. In the coming hours our Lord God will come to this earth in a visitation to destroy everything of evil and corrupt desire that annoys Him today. Then in an instant He shall bring His desired and devoted children into His arms, and into His bosom, forevermore. Wisconsin Democrats could stay away for weeks. MADISON, Wis. - Democrats on the run in Wisconsin avoided state troopers Friday and threatened to stay in hiding for weeks, potentially paralyzing the state government in a standoff with majority Republicans over union rights for public employees. The party's battle against balancing the state budget by cutting the pay, benefits and collective bargaining rights of public workers is the boldest action yet by Democrats to push back against last fall's GOP wave. But the dramatic strategy that has clogged the Capitol with thousands of protesters clashes with one essential truth: Republicans told everyone months ago that unions would be one of their targets, and the GOP now has more than enough votes to pass its plans once the Legislature can convene. Arkansas Is Shaking: 50+ Earthquakes In Past Week; 700+ in Last Six Months. There was a 3.2-magnitude earthquake at 6:18 a.m. local time this morning near Greenbrier, Ark., the US Geological Survey reports. That's in the north central part of the state. But that's hardly the whole story. Since Sunday, USGS says, there have been more than 50 earthquakes in that area. There have been more than 700 in the past six months. The quakes are part of what is now called the Guy earthquake swarm, a series of mild earthquakes that have been occurring periodically since 2009. A similar swarm occurred in the early 1980s when a series of quakes hit Enola, Ark. Algeria braces for another day of protests and unrest in her streets. Could Middle Eastern turmoil hamper U. S, and world recovery? As an enormous popular uprising moves closer to the Libyan capital, economic shockwaves are beginning to be felt overseas--including here in the United States. Could the bloody turmoil in North Africa, and across the Middle East more broadly, end up hampering our fragile recovery? Libya is the world's 12th-largest exporter of crude oil, producing 1.8 million barrels a day. But Col. Muammar Gaddafi, the country's embattled leader, is said to have ordered the destruction of his country's oil facilities in an effort to dramatize how regime change could wreak havoc, both within Libya's borders, and in the broader global oil economy. And Gaddafi's son Saif has warned that continuing violence could drive foreign oil companies out of Libya. That uncertainty caused the price of oil to spike to $100 a barrel yesterday, for the first time since 2008. And the average price of a gallon of gas in the U.S. rose this week by 5 cents to $3.19--the highest February price since 1990. If oil and gas prices continue to surge, inflation would come back, americans would have less money in their pockets, which could in turn lead them to pull back on consumer spending--just as such spending was starting to pick up again. Renewed consumer spending has been a crucial driver of the recovery, so if Americans put their wallets back in their pockets, economic growth could slow dramatically. And businesses, lacking confidence, would likely think twice about hiring new workers, making it all but impossible to bring down the unemployment rate. 6 killed as Iraqis protest in 'Day of Rage'. BAGHDAD - Thousands marched on government buildings and clashed with security forces in cities across Iraq on Friday, in the largest and most violent anti-government protests here since political unrest began spreading in the Arab world several weeks ago. In two northern Iraqi cities, security forces trying to push back crowds opened fire, killing six demonstrators. In the capital of Baghdad, demonstrators knocked down blast walls, threw rocks and scuffled with club-wielding troops. The protests, billed as a "Day of Rage, were fueled by anger over corruption, chronic unemployment and shoddy public services. "We want a good life like human beings, not like animals," said Khalil Ibrahim, 44, one of about 3,000 protesters in the capital Baghdad. Like many Iraqis, he railed against a government that locks itself in the highly fortified Green Zone, home to the parliament and the U.S. Embassy, and is viewed by most of its citizens as more interested in personal gain than public service. Libyans hold mass protests in push to oust leader. BENGHAZI, Libya - Thousands of Libyans demanding Moammar Gadhafi's ouster rallied to show solidarity with the besieged capital, while the government moved to tighten its grip on Tripoli following opposition gains elsewhere in the country. Tanks and checkpoints lined the road leading to Tripoli's airport, and security cordons went up around mosques where protesters might gather. Young armed men, some wearing green bands on their arms in a sign of loyalty to Gadhafi, checked vehicles for weapons. Foreign mercenaries and Libyan militiamen loyal to Gadhafi have fought fiercely to roll back the uprising against his rule, attacking two nearby cities Thursday in battles that killed at least 17 people. But rebels made new gains, seizing a military air base, as Gadhafi blamed Osama bin Laden for the upheaval. Christchurch New Zealand quake diary day two - house or no house. Geography means a lot in Christchurch. It can be all the difference between power or no power, fresh water or sewage, and a house or no house. The curious thing about talking to people today was how greatly their experiences had differed. Even in the same neighborhood, a few metres can spell the difference between horrific damage and relative normalcy. The people of Christchurch have been united by Tuesday�s earthquake, but no one�s experience was the same. Some experienced hell on the day of the quake but are now getting their lives back to normal (or the new normal), while for others their hell is ongoing. A university friend of mine was in the square when the quake hit and was blown completely off his feet. He saw the Cathedral spiral collapse in front of him and witnessed people with horrific injuries. With hundreds still missing, and 75 already confirmed dead from the 6.3 magnitude quake, rescuers struggled to find survivors on the second night. U.S. crop boom not enough to rebuild thin supplies. ARLINGTON, Virginia (Reuters) - Huge U.S. corn and soybean plantings this spring will likely fail to refill razor-thin stocks enough to quell the surge in grain prices, the U.S. Agriculture Department said on Thursday. In updated forecasts for the world's biggest crop exporter, the USDA warned that it could take several years to restore inventories to comfortable levels. It mostly maintained earlier forecasts on how many acres farmers would sow this spring, but said stocks at the end of the 2012 season would remain tight. The U.S. government's forecasts are likely to fuel more concern globally that high prices could persist far longer than they did in 2008 when they hit record highs, as supplies remain too thin to cope with any further weather disasters. "While it is often said the cure for high prices is high prices, even with additional supplies expected this year, it is likely that the tight stocks-to-use situation will not be entirely mitigated over the course of one or even two growing seasons. Libya rebels gear for fight in city near capital. ZAWIYA, Libya - Hundreds of armed anti-government forces backed by rebel troops who control the city closest to the capital Tripoli appeared to be readying Sunday to repel an expected offensive by forces loyal to Moammar Gadhafi who have surrounded Zawiya. An Associated Press reporter who reached Zawiya, 30 miles (50 kilometers) west of Tripoli, confirmed the anti-government rebels are in control of the center of the city of 200,000. They have army tanks and anti-aircraft guns mounted on pickup trucks deployed. But on the outskirts, they are surrounded by pro-Gadhafi forces. North Korea threatens to attack South Korea and the US. SEOUL, South Korea - North Korea threatened Sunday to enlarge its nuclear arsenal and mercilessly attack South Korea and the United States, as the allies prepared to start annual joint military drills which the North says are a rehearsal for an invasion. North Korea routinely issues similar threats against South Korea and the U.S. over any joint military drills. The latest warning, however, could rekindle tensions on the Korean peninsula which sharply rose last year after two deadly incidents blamed on the North. North Korea fired artillery at a front-line South Korean island in November, killing four people. The barrage came eight months after the sinking of a South Korean warship which killed 46 sailors. North Korea has denied firing a torpedo at the ship. North Korea called the planned South Korea-U.S. drills a "dangerous military scheme." Shoppers wary of Genetically modified foods find they're everywhere. WASHINGTON - You may not want to eat genetically engineered foods. Chances are, you are eating them anyway. Genetically modified plants grown from seeds engineered in labs now provide much of the food we eat. Most corn, soybean and cotton crops grown in the United States have been genetically modified to resist pesticides or insects, and corn and soy are common food ingredients. The Agriculture Department has approved three more genetically engineered crops in the past month, and the Food and Drug Administration could approve fast-growing genetically modified salmon for human consumption this year. Agribusiness and the seed companies say their products help boost crop production, lower prices at the grocery store and feed the world, particularly in developing countries. The FDA and USDA say the engineered foods they've approved are safe - so safe, they don't even need to be labeled as such - and can't be significantly distinguished from conventional varieties. Organic food companies, chefs and consumer groups have stepped up their efforts - so far, unsuccessfully - to get the government to exercise more oversight of engineered foods, arguing the seeds are floating from field to field and contaminating pure crops. The groups have been bolstered by a growing network of consumers who are wary of processed and modified foods. Modifying our Lord God�s bountiful food harvest, like corn and wheat, could bring disastrous results to the people who are anxious to do so. It could bring them sores and wounds that will not heal upon their bodies, souls, and minds. The reason these fools have to modify corn, wheat, and other foods today is because they are not adhering to God�s words available to them in the Bible. They are forcing food to grow with nitrates that will eventually destroy the soil�s nutrients and protective covering. This in turn will destroy the world�s food supply quickly. These fools today are also not giving their polluted land the rest it needs every seven years. They are not allowing it to replenish itself in good and timely order. Along with these things the innocent blood that has been spilled all over this world today through wars, and the killing of others, has not been rectified in heaven. God�s words are also not being listened to and this is causing a famine of food to appear in almost every nation today. Christchurch holds prayers for quake victims. CHRISTCHURCH, New Zealand - Residents held open-air prayers for the dead and missing Sunday on the lawns of churches cracked and shattered in New Zealand's earthquake while teams continued their search through debris of one of the country's worst disasters. The official death toll rose Sunday to 147 and was expected to rise further. Prime Minister John Key has said the quake, which decimated the city's downtown, may be the country's "single-most tragic" disaster. When the quake ripped through the city last Tuesday, the city's churches were among the hardest-hit buildings. Among them was the iconic Christchurch Cathedral, at the heart of the city, which suffered massive damage, its bell tower in ruins and 22 people potentially lying dead inside. After church service, people gathered by a table on the lawn to have coffee, scones and banana bread, and to comfort those still struggling. Megan Blakie, 45, stood in the crowd, eyes brimming with tears. "I just am struggling with where's God in all of this?" she said. "It's not shattered my faith, but it's hard to keep going." Some 56 percent of New Zealanders have a Christian religious affiliation and nearly 35 percent profess no religion, while religious groups like Islam, Hinduism and Buddhism are growing as immigrants continue to arrive. The problems that this town called Christchurch is facing today will not go away anytime soon. The reason for this is because they are blaspheming the words and the testimonies of God and His Son, Jesus. Many of the churches in this town are also not adhering anymore to God�s words of yesterday and today. Instead, they are practicing idol worship, witchcraft, and evil desires, at God�s expense. Many of them also do not believe that Jesus is their true Savior and King. Therefore, God is punishing them because He takes the name Christchurch very seriously. He expects the people in this town to worship and praise Him continually, if they want to keep this sacred and beautiful name on their town. Instead, many of the people of this town are allowing heathens today to affect them in negative and perverse ways. They are allowing many heathens to defile God�s churches here. They are allowing heathens to beguile them and trick them from the purpose and vows they were intended to finish and complete for God and His Son. They should be putting ashes on their head and sitting on the ground with sackcloth on their bodies, while they ask God to forgive them. Instead, they are eating scones and banana bread, while drinking coffee to make themselves feel better. Gadhafi forces battle rebels as 37 killed in Libya. TRIPOLI, Libya - Moammar Gadhafi's regime struck back at its opponents with a powerful attack Friday on the closest opposition-held city to Tripoli and a barrage of tear gas and live ammunition to smother new protests in the capital. At least 37 people died in fighting and in an explosion at an ammunitions depot in Libya's rebellious east. The bloodshed signaled an escalation in efforts by both sides to break the deadlock that has gripped Libya's 18-day upheaval, which has lasted longer than the Egyptian revolt that led to the ouster of President Hosni Mubarak and inspired a wave of protests across the region. So far, Gadhafi has had little success in taking back territory, with several rebel cities repelling assaults and the entire eastern half of the country under rebel control. But the opposition forces have seemed unable to go on the offensive to march on pro-Gadhafi areas. Meanwhile, in Tripoli � Gadhafi's most important bastion � his loyalists have waged a campaign of terror to ensure that protesters do not rise up in significant numbers. Fired workers burn Indian executive to death. BHUBANESHWAR, India - Indian police detained two people after an angry mob of fired workers burned to death a senior executive of a steel factory, an official said Friday. After learning they were laid off, about a dozen workers attacked a vehicle carrying Radhey Shyam Roy as he was leaving the factory in eastern Orissa state on Thursday, dousing the Jeep with gasoline and setting it on fire, said police Superintendent Ajay Kumar Sarangi. Two other people in the vehicle were allowed to flee but Roy, 59, was trapped inside and later died of severe burns, Sarangi said. Police were questioning two workers and their formal arrest on murder charges was likely, Sarangi told The Associated Press. The steel factory is in Bolangir district, nearly 250 miles (400 kilometers) west of Bhubaneshwar, the capital of Orissa state. 'Significant flooding' likely in central U.S. by spring. Fargo, Grand Forks at greatest risk, but St. Louis and others on Mississippi also warned. Millions living along the northern Mississippi River as well as other nearby rivers face high or above average chances of flooding this spring as a thick snowpack starts to melt, the National Weather Service is warning. "We expect significant flooding when this snow begins to melt," Lynn Maximuk, central region director of the National Weather Service, said in a statement Friday. "Areas of greatest concern include the Red River of the North in North Dakota and Minnesota, Devils Lake in North Dakota, the James River and Big Sioux River in South Dakota, and areas along the Upper Mississippi River including Minnesota, Wisconsin, Iowa, Illinois and Missouri," the service said in a report on spring flood risks. The Mississippi River is at risk for moderate to major flooding from its headwaters in St. Paul, Minn., all the way to St. Louis, the service stated. For the Red River, and cities like Fargo and Grand Forks, it's the third consecutive year when moderate to major flooding has been predicted. "Any above normal winter/spring precipitation will elevate this flood risk," the service warned. "The magnitude of flooding will be determined by the amount of snow yet to fall and the weather conditions during the melt. Spring temperatures will determine the rate of snow melt and the effects of ice jams, which can both greatly alter the level of risk." Large Bahrain Rally Pressures Leaders. More than 100,000 gathered in the Bahraini capital to call for the ouster of the government, escalating pressure on the ruling Al-Khalifa family to accept sweeping political reforms. Rising Carbon Dioxide Is Causing Plants to Have Fewer Pores, Releasing Less Water to the Atmosphere. As carbon dioxide levels have risen during the last 150 years, the density of pores that allow plants to breathe has dwindled by 34 percent, restricting the amount of water vapor the plants release to the atmosphere, report scientists from Indiana University Bloomington and Utrecht University in the Netherlands. "The carbon cycle is important, but so is the water cycle," Dilcher said. "If transpiration decreases, there may be more moisture in the ground at first, but if there's less rainfall that may mean there's less moisture in ground eventually. This is part of the hyrdrogeologic cycle. Land plants are a crucially important part of it." Dilcher also said less transpiration may mean the shade of an old oak tree may not be as cool of a respite as it used to be. "When plants transpire they cool," he said. "So the air around the plants that are transpirating less could be a bit warmer than they have been. But the hydrogeologic cycle is complex. It's hard to predict how changing one thing will affect other aspects. We would have to see how these things play out. UN: Food prices hit record high in February. ROME (AP) - Global food prices are the highest in 20 years and could increase further because of rising oil prices stemming from the unrest in Libya and the Mideast, a U.N. Agency warned Thursday. Skyrocketing food prices have been among the triggers for protests in Egypt, Tunisia and elsewhere, and raised fears of a repeat of the food price crises in 2007 and 2008. Some experts point to key differences compared to those years: for one, the price of rice, a dominant component of regular diets in many parts of the world, is much lower today. Still, aid group Oxfam called the hike "deeply worrying. "The Food and Agriculture Organization said in a statement that its food price index was up 2.2 percent last month, the highest level since January 1990 when the agency started monitoring prices.It also was the eighth consecutive month that food prices had risen, the Rome-based agency said. In January, the index had already registered a record peak.The increase was driven mostly by higher prices of cereals, meat and dairy products, FAO said. Sugar was the only commodity of the groups being monitored. Louisiana town cleans up after deadly tornado. CNN) - Utility companies will return Sunday to restore power in parts of Rayne, Louisiana, after a tornado pummeled the region, killing at least one person. A Louisiana mother who died sheltering her child during the tornado was identified early Sunday as Jalisa Granger, a sheriff's office official said. Eleven people were injured, she said. "There's over 100 homes damaged out there," Trahan said. "Most residents were evacuated, leaving for other relatives' homes. About 20 (who were) evacuated didn't have somewhere to go, but were taken to the local fire department. The storm that killed Granger was one of at least two twisters tied to a weather system that has caused major damage in the state and wreaked havoc on Mardi Gras festivities. The National Weather Service confirmed that tornadoes hit the city of Rayne, about 80 miles west of Baton Rouge, and the nearby city of Crowley on Saturday morning. Packing winds between 111 and 135 mph, the tornado was 300 yards wide and produced damage over a 5-mile stretch, according to the weather service. UN alarmed at huge decline in bee numbers. GENEVA (AFP) - The UN on Thursday expressed alarm at a huge decline in bee colonies under a multiple onslaught of pests and pollution, urging an international effort to save the pollinators that are vital for food crops. Much of the decline, ranging up to 85 percent in some areas, is taking place in the industrialized northern hemisphere due to more than a dozen factors, according to a report by the UN's environmental agency. They include pesticides, air pollution, a lethal pinhead-sized parasite that only affects bee species in the northern hemisphere, mismanagement of the countryside, the loss of flowering plants and a decline in beekeepers in Europe. "The way humanity manages or mismanages its nature-based assets, including pollinators, will in part define our collective future in the 21st century," said UNEP executive director Achim Steiner. "The fact is that of the 100 crop species that provide 90 percent of the world's food, over 70 are pollinated by bees," he added. Wild bees and especially honey bee colonies from hives are regarded as the most prolific pollinators of large fields or crops. Overall, pollinators are estimated to contribute 153 billion euros ($212 billion) worldwide or 9.5 percent of the total value of food production, especially fruit and vegetables, according to the report. Honey bee colony declines in recent years have reached 10 to 30 percent in Europe, 30 percent in the United States,and up to 85 percent in Middle East, said scientist Peter Neumann, one of the authors of the first ever UN report on the issue. How big a problem is the Redondo Beach fish kill? It has been a couple of months since a large group of animals has baffled locals and scientists alike by mysteriously turning up dead, but it appears the trend continues this week in Los Angeles. Millions of small fish, including anchovies, mackerel and sardines, washed up dead in the middle of the night in Redondo Beach, California, in another bizarre mass death that has authorities puzzled and looking for a cause. Boaters woke up this morning to find the dead fish up to a foot deep from the water�s surface at King Harbor Marina, which is about 22 miles south of Los Angeles. Scientists say this isn't extraordinary. How worried should we be? A million fish died in Redondo Beach, Calif.'s King's Bay Tuesday. After making international headlines, the sea of dead sardines caused an eerie sheen of silver on the harbor's surface that had some folks talking about plagues and apocalypse. However, much the same as when scores of animals were dying in masse earlier this year, scientists insist that the Redondo event is not all that unusual, that these sorts of die-offs are no cause for alarm. Scientists now are saying the fish lacked oxygen and died. �All evidence points to oxygen deprivation as cause of death. There is no oil sheen, nor is there a chemical sheen,� California Department of Fish and Game spokesman Andrew Hughan said. This is the third bizarre animal death in the U. S. in the last few months. China Earthquake. At least 22 Dead as Quake Topples Buildings in SW China. The March tenth magnitude-5.8 earthquake hit in the Yingjiang county in southwest China's Yunnan province. BOSTON (Reuters) - Winter-weary and waterlogged communities in the Northeast braced for a deluge of rain on Thursday and snow in parts of Pennsylvania and New York, according to forecasts. The storm system coupled with melting snow was pushing rivers across the region quickly toward flood levels. New Jersey Governor Chris Christie declared a state of emergency ahead of the expected rains, wind and flooding. The order gives police broader powers to manage traffic and evacuation plans if necessary and readies the state's National Guard for assistance. Most of the mid-Atlantic and Northeast will see at least an inch of rainfall through Saturday morning, said Greg Heavener, National Weather Service meteorologist in Mount Holly, N.J. The heaviest precipitation was expected to drench Philadelphia, northern Delaware and central and northern New Jersey with two to three inches of rain, he said. Areas around Philadelphia already saw about an inch of rain by early Thursday, although the heaviest bands of precipitation were expected overnight, he said. The National Weather Service has issued flood advisories from Maryland north into New England. The Ramapo, Passaic, Delaware and Raritan river levels were being closely monitored, and the latest storm could produce major flooding, state and weather officials said. In Connecticut, similar precautionary measures were underway. Flood watches were issued across the state through Friday afternoon, with major flooding potential in western areas. Several Connecticut rivers are already at minor flood levels, said state emergency officials. While the bulk of the rain in Massachusetts was expected to hit the western part of the state overnight, up to an inch of rain falling in eastern Massachusetts was being monitored as well. Even a small additional amount of rainfall could cause water to leave the banks of the rivers and cause minor flooding. 60 killed in major tsunami after 8.9 Japan quake. TOKYO - A ferocious tsunami spawned by one of the largest earthquakes ever recorded slammed Japan's eastern coast Friday, killing at least 60 people as it swept away boats, cars and homes while widespread fires burned out of control. Tsunami warnings blanketed the entire Pacific, as far away as South America, Canada, Alaska and the entire U.S. West Coast. Magnitude 8.9 offshore quake unleashed a 23-foot (7-meter) tsunami and was followed by more than 20 aftershocks for hours, most of them of more than magnitude 6.0. Police said at least 60 people were killed and 56 were missing. The death toll was likely to continue climbing given the scale of the disaster. Dozens of cities and villages along a 1,300-mile (2,100-kilometer) stretch of coastline were shaken by violent tremors that reached as far away as Tokyo, hundreds of miles (kilometers) from the epicenter. "The earthquake has caused major damage in broad areas in northern Japan," Prime Minister Naoto Kan said at a news conference. Texas farmers say drug war making job dangerous. LA JOYA, Texas - As Texas farmhands prepared this winter to burn stalks of sugarcane for harvest along the Rio Grande, four masked men on ATVs suddenly surrounded the crew members and ordered them to leave. Farmer Dale Murden has little doubt they were Mexican drug traffickers. "They hide stuff in there," Murden said of the dense sugarcane crops, some as high as 14 feet. "It was very intimidating for my guys. You got men dressed in black, looking like thugs and telling them to get back." Texas farmers and ranchers say confrontations like these are quietly adding up. This month the Texas Department of Agriculture, going beyond its usual purview that includes school lunches and regulating gas pumps, launched a website publicizing what it calls a worsening situation "threatening the lives of our fellow citizens and jeopardizing our nation's food supply." The launch last week of ProtectYourTexasBorder.com also left the state somewhat embarrassed after the site's message board quickly filled with postings calling for vigilante justice and the killing of illegal immigrants. The postings have since been removed. Japan quake causes emergencies at 5 nuke reactors. TOKYO - Japan declared states of emergency for five nuclear reactors at two power plants after the units lost cooling ability in the aftermath of Friday's powerful earthquake. Thousands of residents were evacuated as workers struggled to get the reactors under control to prevent meltdowns. Operators at the Fukushima Daiichi plant's Unit 1 scrambled ferociously to tamp down heat and pressure inside the reactor after the 8.9 magnitude quake and the tsunami that followed cut off electricity to the site and disabled emergency generators, knocking out the main cooling system. Some 3,000 people within two miles (three kilometers) of the plant were urged to leave their homes, but the evacuation zone was more than tripled to 6.2 miles (10 kilometers) after authorities detected eight times the normal radiation levels outside the facility and 1,000 times normal inside Unit 1's control room. The government declared a state of emergency at the Daiichi unit, the first at a nuclear plant in Japan's history. But hours later, the Tokyo Electric Power Co., which operates the six-reactor Daiichi site, announced that it had lost cooling ability at a second reactor there and three units at its nearby Fukushima Daini site. New Jersey waterlogged as rivers crest and flooding continues. National Weather Service issues flood advisories in at least 27 states; New Jersey, Maryland declare states of emergency. (CBS/AP) POMPTON LAKES, N.J. - Residents in the Northeast and parts of the Midwest nervously watched rising waterways Thursday as heavy rain swelled creeks and rivers, damaged houses, detoured commuters and forced amusement park workers to pack up equipment. In Pompton Lakes, N.J., a pelting rain fell on already water-damaged homes ruining the furniture and flooring. It was the second time the area had been waterlogged in less than a week. In a small playground across the street, remnants of Sunday night's flooding could be seen in a bicycle rack that was nearly covered in mud. Flood watches were in effect across much of New Jersey, Pennsylvania, Ohio and New York. Japan quake-tsunami death toll likely over 10,000. TAGAJO, Japan - The death toll in Japan's earthquake and tsunami will likely exceed 10,000 in one state alone, an official said Sunday, as millions of survivors were left without drinking water, electricity and proper food along the pulverized northeastern coast. "This is Japan's most severe crisis since the war ended 65 years ago," Prime Minister Naoto Kan told reporters, adding that Japan's future would be decided by the response to this crisis. Although the government doubled the number of soldiers deployed in the aid effort to 100,000, it seemed overwhelmed by what's turning out to be a triple disaster: Friday's quake and tsunami damaged two nuclear reactors at a power plant on the coast, and at least one of them appeared to be going through a partial meltdown, raising fears of a radiation leak. Japan races to avert multiple nuclear meltdowns. KORIYAMA, Japan - Japan's nuclear crisis intensified Sunday as authorities raced to combat the threat of multiple reactor meltdowns and more than 170,000 people evacuated the quake- and tsunami-savaged northeastern coast where fears spread over possible radioactive contamination. Nuclear plant operators were frantically trying to keep temperatures down in a series of nuclear reactors, including one where officials feared a partial meltdown could be happening Sunday, to prevent the disaster from growing worse. Chief Cabinet Secretary Yukio Edano also said Sunday that a hydrogen explosion could occur at Unit 3 of the Fukushima Dai-ichi nuclear complex, the latest reactor to face a possible meltdown. That follows a blast the day before in the power plant's Unit 1, as operators attempted to prevent a meltdown there by injecting sea water into it. "At the risk of raising further public concern, we cannot rule out the possibility of an explosion. A Special Message from Jacob�s House About the Ongoing Problems in this World Today. The warning goes out to all of the foolish people who have defied and not honored the Living God in their midst. They will soon perish in a tumult of terror, fear, and devastation. Can we make it any clearer what will happen to the unbelievers of this world called earth who now sit on the sidelines. For they have refused their Creator, and have created their new tower of bale and Babel to speak to one another about their evil ways. We are telling you your days are numbered and your souls will be dissolved, for your souls belong to the King of all kings and the Power of all powers that are here. There are a lot of assumptions and predictions being made today about the future course of events this world will take, oh servant Jacob. There are a lot of puffed up words being spoken now about how specific wars will end, and how the kings and rulers here will be able to control everything that is set forth before them in the next few years. I, the Lord God, know many mystics, sorcerers, and stargazers today are predicting the end of this world will not come for many centuries, or even thousands of years. They are predicting good times for the drunkards, heathens, and vagabonds who believe in them, and listen to their unsound and filthy words. However, these mystics, sorcerers, and star gazers have not heard about the hidden strength and power that I, the Lord God, possess. They do not understand I have secret tabernacles of wrath and destruction at My disposal, which I can use against them at any time. The princes, rulers, and judges here have also not heard about the all consuming fire, knowledge, and unending wisdom that is a part of Me in the heavens above. They have not heard about the judgment seat that I sit upon, when I Am looking down upon all the inhabitants of this sinful and debased world. They have not been able to see the overwhelming mudslides and floods that I can bring to the tarnished and polluted cities that are loathsome and contemptible before Me. Therefore, as it was in the distant past, servant Jacob, so is it the same today. Many foolish people here do not take the time to consider Me and know Me. They do not take the time to discover the goodness, love, mercy, and fairness that I possess. Though I, the Lord God, have etched and planted My undefiled ways in many of them long ago, they do not want to see their way clear to know My ways, My Son, Jesus, or Me. They do not want to exit from the mud and debris they have brought upon themselves and their little ones. They do not want to understand that all of the grief and travail they are going through in their lives is because they have defied Me and mocked My ways. Little do these foolish people know that I Am now beginning to change the underpinnings of this world called earth. Little do they realize I Am moving the seas all around them so they will soon roar and foam upon them with reckless strife and abandon. Little do they understand they will soon be caught up in a great tidal wave of epic proportions they will not be able to run from or control. Little do they realize I Am now rearranging the foundational pillars of My new day, so it will conform to My ever-present will. I, the Lord God, am also rearranging the stars in the heavens above so they will conform to the specifications of My heart, mind, and soul. The princes, rulers, and judges here today do not realize I Am beginning to make My name known all over this world. I Am also making the wilderness places, the sinful areas of this world, and the dead seas, to threaten them and destroy everything they hold dear. They do not realize they are already being brought before My judgment throne, while My truthful words are being spoken today by you, servant Jacob. Toxin found in sardines that clogged US marina. LOS ANGELES - The millions of sardines that were found floating dead in a Southern California marina this week tested positive for a powerful neurotoxin, researchers said Friday. High levels of domoic acid were found in the sardines, which may have distressed them off the Los Angeles coastline and caused them to swim into the Redondo Beach marina. Scientists believe that critically low oxygen levels in the water caused the sardines to suffocate, but it's possible the toxin may have been one explanation for why they crowded into the marina. The California Department of Fish and Game has blamed the die-off on oxygen deprivation and is also testing fish for toxins at its animal forensics laboratory. Results are not expected until next week. Domoic acid is often found in the stomach of fish that have been feeding on plankton during toxic algae blooms. The toxin has been linked to neurological disorders, illnesses and deaths in seabirds, sea lions, sea otters and whales. Tsunami waves hit the U. S. Pacific coast. Waves triggered by devastating Japan quake reach U.S. mainland; Low-lying areas evacuated as Calif. marinas suffer extensive damage. Waves from a tsunami triggered by Japan's catastrophic earthquake slapped the U.S. west coast, causing extensive damage to harbors and piers in California. Waves surging along the coast reached as high as 7 feet. In Santa Cruz, a local emergency was declared when a series of waves pulled boats loose from their moorings and sent them crashing into piers and bridges. Half-sunken pleasure boats were seen bobbing in Santa Cruz harbor. Surge after surges wept into the harbor, washing boats back and forth as owners looked on helplessly. The phenomenon of receding water before secondary surges come ashore - dragging dislodged boats back and forth through the harbor, like a fast-moving river - was watched by onlookers and fearful boat owners. But the surging tide caused an estimated $2 million in damage in the Santa Cruz Small Craft Harbor, according to a county spokesman. In Crescent City, Calif., where a tsunami in 1964 killed 11 people, fishermen fired up their crab boats and left the harbor to ride out an expected swell. Their caution paid off because the harbor was destroyed. Japan's nuke-plant battle may take weeks, US says. YAMAGATA, Japan - Emergency workers seemed to try everything they could think of Thursday to douse Japan's most dangerously overheated nuclear reactors: helicopters, heavy-duty fire trucks, even water cannons normally used to quell rioters. But they couldn't be sure any of it was easing the peril at the tsunami-ravaged facility. Three reactors have had at least partial meltdowns at the Fukushima Dai-ichi nuclear plant, where wisps of white steam rose from the stricken units Friday morning. But Japanese and U.S. officials believe a greater danger exists in the pools used to store spent nuclear fuel: Fuel rods in one pool were believed to be at least partially exposed, if not dry, and others were in danger. Without water, the rods could heat up and spew radiation. It could take days and "possibly weeks" to get the complex under control, U.S. Nuclear Regulatory Commission Chairman Gregory Jazcko said. He defended the U.S. decision to recommend a 50-mile evacuation zone for its citizens, a much stronger measure than Japan has taken. A senior official with the U.N.'s nuclear safety agency said there had been "no significant worsening" at the Fukushima Dai-ichi nuclear plant but that the situation remained "very serious." Graham Andrew told reporters in Vienna that nuclear fuel rods in two reactors were only about half covered with water, and they were also not completely submerged in a third. UN approves no-fly zone over Libya. UNITED NATIONS - The U.N. Security Council on Thursday approved a no-fly zone over Libya and authorized "all necessary measures" to protect civilians from attacks by Moammar Gadhafi's forces. The action came as the Libyan leader was poised to make a final push against rebels holding out in Bengazhi, Libya's second largest city. The vote in the 15-member council was 10-0 with five abstentions, including Russia and China. The United States, France and Britain had pushed for speedy approval. French Prime Minister Francois Fillon said if the resolution was approved, France would support military action against Gadhafi within hours. The U.S. said it was preparing for action. Several Arab nations were expected to provide backup. Gadhafi vowed to launch a final assault on Benghazi and crush the rebellion as his forces advanced toward the city and warplanes bombed its airport Thursday. Gadhafi said in an interview broadcast Thursday on Portuguese public broadcaster Radiotelevisao Portuguesa that he rejected any U.N. threats of action. "The U.N. Security Council has no mandate," Gadhafi said. "We don't acknowledge their resolutions." He warned that any military action would be construed as "colonization without any justification" and would have "grave repercussions." Income tax chart shows assault on middle class. COMMENTARY � Trying to solve the U.S. national debt problem might be more of an income dilemma and less about a debt problem. A recent chart compiled from IRS and Tax Foundation data suggests the rich have been paying fewer tax. No one class of citizen has an overly high burden of paying income taxes in 2011. But overall, Americans making $1 million or more are shouldering less of a tax burden than before. When the government has been deficit spending at record levels, it's time to increase taxes. Another chart compiled by the University at Santa Cruzis equally as disturbing for the middle and lower classes. The top one percent of households in the United States owned nearly 35 percent of the wealth in the United States. The next 19 percent (managerial and professional types) own only 50 percent of the wealth in America. The bottom 80 percent (i.e. hourly wage earners and impoverished) have access to just 15 percent of available money in 2007. Combining the two sets of date reveals a stark contrast. The rich are still getting richer while the poor keep getting poorer. Chunk of Calif. coastal highway falls into Pacific. CARMEL, Calif. - Engineers on Thursday were working to figure out when they'll be able to reopen a stretch of California coastal highway that collapsed into the ocean, blocking traffic to the scenic Big Sur region. A 40-foot section of Highway 1 crumbled just after 5 p.m. Wednesday following several days of rainy weather. The entire southbound lane is gone, and the soil under the northbound lane also was giving way. No one was injured in the slide, the California Highway Patrol said. Authorities have closed the two-lane road to traffic indefinitely. The collapse occurred south of Carmel near Rocky Creek Bridge, one of the iconic arch bridges that make the stretch of roadway, also known as the Pacific Coast Highway, one of the country's best known scenic drives. Western warplanes, missiles hit Libyan targets. TRIPOLI (Reuters) - Western forces hit targets along the Libyan coast on Saturday, using strikes from air and sea to force Muammar Gaddafi's troops to cease fire and end attacks on civilians. French planes fired the first shots in what is the biggest international military intervention in the Arab world since the 2003 invasion of Iraq, destroying tanks and armored vehicles in the region of the rebels' eastern stronghold, Benghazi. Hours later, U.S. and British warships and submarines launched 110 Tomahawk missiles against air defenses around the capital Tripoli and the western city of Misrata, which has been besieged by Gaddafi's forces, U.S. military officials said. They said U.S. forces and planes were working with Britain, France, Canada and Italy in operation "Odyssey Dawn". Gaddafi called it "colonial, crusader" aggression. "It is now necessary to open the stores and arm all the masses with all types of weapons to defend the independence, unity and honor of Libya," he said in an audio message broadcast on state television hours after the strikes began. State television said the "crusader enemy" hit civilian areas of Tripoli and fuel storage tanks that supplied Misrata. Gadhafi vows 'long war' after US, allies strike. TRIPOLI, Libya - Moammar Gadhafi vowed a "long war" against the international military force that struck at his forces with airstrikes and dozens of cruise missiles that shook the Libyan capital early Sunday with the sound of explosions and anti-aircraft fire. State television said 48 people died in the U.S. and European strikes, which marked the widest international military effort since the Iraq war and came as the rebels saw a month's worth of gains reversed by Gadhafi's overwhelming firepower. In the phone call to state television, Gadhafi said he would not let up on Benghazi and said the government had opened up weapons depots to all Libyans, who were now armed with "automatic weapons, mortars and bombs." State television said Gadhafi's supporters were converging on airports as human shields. "We promise you a long war," he said. President Barack Obama said military action was not his first choice and reiterated that he would not send American ground troops. Japan's efforts to ease nuke crisis hit setback. FUKUSHIMA, Japan - An unexpected rise in pressure inside a troubled reactor set back efforts to bring Japan's overheating, leaking nuclear complex under control Sunday as concerns grew that as-yet minor contamination of food and water is spreading. The pressure increase meant plant operators may need to deliberately release radioactive gas, prolonging a nuclear crisis that has consumed government attention even as it responded to the catastrophic earthquake and tsunami that savaged northeast Japan on March 11. Beyond the disaster area, an already shaken public grew uneasy with official reports that traces of radiation first detected in spinach and milk from farms near the nuclear plant are turning up farther away in tap water, rain and even dust. In all cases, the government said the radiation levels were too small to pose an immediate risk to health. Still, Taiwan seized a batch of fava beans from Japan found with faint- and legal, amounts of iodine and cesium. 1st Person: Rich Japan's misery stuns war reporter. SHIZUGAWA, Japan - Bodies are strewn among the knotted skeletons of entire towns. Military helicopters clatter overhead. Survivors who lost everything huddle under blankets in schools-turned-shelters as foreign governments dispatch aid and urge their citizens to flee. After years spent reporting from desperate and war-torn corners of the world, the scenes I've witnessed here are unsettlingly familiar. It's the setting that's not. Here, in one of the richest and most advanced nations on earth, I've found one of most challenging assignments of my career. Japan's cascading disasters were spawned by one of the planet's strongest quakes in a century. Next came a tsunami that killed more than 10,000 people and demolished vast swaths the northeastern coast in minutes. That triggered a nuclear emergency that has amplified a deepening sense of apocalyptic doom. The grim sights have been widely compared to the astonishing destruction wrought here during World War II. God is bringing destruction to the enemies of the cross who have hated His Son, Jesus, and refused to repent of their wickedness, their idolatry and their sinful ways. Anyone who believes that this cataclysmic event in Japan is random and not God�s wrath and vengeance on this area of the world is a drunkard and a fool. As it was in the days of Noah, so is it again today, oh Jacob, servant of Mine. Therefore, soon I will bring a damaging and distressful wind and flood upon the decayed and dried up land, which I despise. I will pillage and destroy the polluted houses that have not been reverent to Me or restored in My name. If they are not covered by the blood of My only Son, Jesus, their foundations will not survive. Soon I, the Lord God, will bring an untimely end to this world called earth. I will bring a sudden sifting flood upon the nations and cities that have not feared and honored Me as the true Creator of all life and breath. In the next few years, I will make many places around this world desolate heaps. They will remain uninhabitable caves of darkness where only owls, snakes, and satyrs will roam. They will become mired dunghills of twisted steel with mixed clay. Then all of the inhabitants of this world will know that I Am the Lord of Hosts and I do not change My steadfast and virtuous ways. Then they will understand that I have the power to decimate and destroy the nations and the high places that do not desire to respect Me and honor My Holy name. Therefore, Jacob, the time is at hand for Me to make these things happen once again. I, the Lord God, know many powerful judges, rulers, overseers, and governors today do not want to give up their places of prominences, stature, and fame. They do not want to give up the bribes they are taking to perform their rulings and their laws. They do not want to perform fair rulings upon all of the men they are seeing at this time. Therefore, true judgment and compassion for others has been perverted by them. True fairness and impartiality has been lost in a sea of dead bones, filthy lucre, wealth, and fame. Now fame and fortune is what many of them are seeking today. However, I, the Lord God will be the final judge and jury who will determine where these judges, rulers, overseers, and governors will go. African Union demands 'immediate' halt to Libya attacks. NOUAKCHOTT (AFP) - The African Union's panel on Libya Sunday called for an "immediate stop" to all attacks after the United States, France and Britain launched military action against Moamer Kadhafi's forces. After a more than four-hour meeting in the Mauritanian capital, the body also asked Libyan authorities to ensure "humanitarian aid to those in need," as well as the "protection of foreigners, including African expatriates living in Libya." It underscored the need for "necessary political reforms to eliminate the causes of the present crisis" but at the same time called for "restraint" from the international community to avoid "serious humanitarian consequences." The panel also announced a meeting in the Ethiopian capital Addis Ababa on March 25, along with representatives from the Arab League, the Organization of Islamic Conference, the European Union and the United Nations to "put in place a mechanism for consultation and concerted action" to resolve the Libyan crisis. The AU committee on Libya is composed of five African heads of state. But the Nouakchott meeting was only attended by the presidents of Mauritania, Mali and Congo. South Africa and Uganda were represented by ministers. Economic aftershocks of Japan quake roil Asia. Economic aftershocks of the devastation in Japan are rolling through Asia. It is here, among Japan's neighbors, that the reverberations of the catastrophe are being felt hardest. Automakers in Thailand are slowing production. South Korean electronics manufacturers face shortages of critical parts. Thousands of Japanese have canceled trips to Taiwan. Panic buying has driven up prices of Japanese cameras in China, while Indian policymakers brace for higher oil prices. The 9.0-magnitude quake and tsunami that laid waste to Japan's industrial northeast on March 11 and triggered an unfolding crisis at a crippled nuclear power plant has exacted a terrible human toll with estimates of more than 10,000 dead and hundreds of thousands homeless. It might also undermine Japan, and China, as manufacturing bastions as the catastrophe gives global companies further reason to spread suppliers over more countries to avoid reliance on a handful of production powerhouses. "Even before the Japan disaster, there was a sense that many multinationals had become too dependent on a single source of production," said Frederic Neumann, HBSC's co-head of Asian economics research. "The broad trend to diversify production will not just affect Japan, it will affect China. China's production has become very concentrated." South Korea, a manufacturing force in its own right, has been among the first to shudder as Japanese suppliers grappled with damaged factories and power shortages. SUV and luxury sedan maker Ssangyong Motor Co. is facing production constraints because of shortages of Japanese parts, said its chairman Pawan Goenka. "Most of the parts sourced from any given country are developed over time," he said. "It's not possible in most cases to switch sources. By the time you're able to switch sources the crisis will be over." Gaps in US monitoring system revealed. West targets Libyan forces in bid to end stalemate. Radiation spikes in seawater by stricken Japan plant. Three Colorado wildfires threaten hundreds of homes. Three wildfires fueled by tinder-dry vegetation and fanned by high winds forced the evacuation of 320 homes in the foothills west of Boulder. Protests spread in Syria on Friday from their southern epicenter of Daraa to Damascus and a town south of the capital, where authorities moved to arrest at least five demonstrators. Problems impeding Japanese nuke crew. Contaminated water and erroneous radiation reports have workers struggling to contain the reactors. Masked youths battle London police after anti-cuts rally. Read some of the headlines above and you will realize the end of this current earth age is right around the corner. It is nearer than most people think it is today. Soon God�s wrath and fury will be displayed openly all over this world called earth. His authority and power-base will be seen here in magnificent and extraordinary ways. God will display His anger openly towards the nations today who He loathes and abhors. They will face His earthquakes, fires, hailstones, tornadoes, and volcanoes erupting everywhere. God will also decrease the abundant nature of this earth with famine, disease, and a lack of pure water to drink. Therefore, it is the last chance for Christians and for the lost and dying souls to repent of their sins before God and His Son, Jesus. For by the end of April and God�s new Passover this year, God will have marked the people who are His, and who are the devil�s. Then He will take the true believers up to be with Him and His Son, Jesus. They will receive their new home and their new estate for their faithfulness. God will also soon be judging and then destroying the followers of the man of perdition today. Al Qaeda hails Arab revolts as great leap forward. Al Qaeda's most influential English-language preacher said revolts sweeping the Arab world would help rather than harm its cause by giving Islamists freed from tyranny greater scope to speak out. Setbacks mount in Japan at leaking nuclear plant. TOKYO � Setbacks mounted Wednesday in the crisis over Japan's tsunami-damaged nuclear facility, with nearby seawater testing at its highest radiation levels yet. Radiation leaking from the plant has seeped into the soil and seawater nearby and made its way into produce, raw milk and even tap water as far as Tokyo, 140 miles (220 kilometers) to the south. Extinction threat not that far away for 45 Australian species. SYDNEY - Up to 45 rare species of wallaby, bandicoot and other Australian animals could become extinct within 20 years unless urgent action is taken to control introduced predators and other threats, scientists warned Wednesday. Dozens of mammals, birds, lizards and other vertebrates in the remote northwestern Kimberley region are at risk from hunting by feral cats and from destruction of their native habitat by wild donkeys, goats and fires, a study of the conservation needs of the area shows. "We're in the midst of a massive extinction event in Australia and the north has really been the last stronghold for many species of birds and mammals and reptiles. U. S. Lawmakers seek answers on Libya. WASHINGTON - President Barack Obama is under pressure from Congress to spell out an exit strategy for the U.S. military in Libya and provide a clear plan to end Col. Moammar Gadhafi's 42-year rule as the American public remains fiercely divided over the war. The president said Gadhafi�s forces are weakening and the U. S. did not rule out arming the rebels, saying the U.S. and its partners could get weapons into Libya and would use all options to get rid of him. Drug resistant MRSA Cases More Widespread Than First Thought In USA. MRSA has become the most common cause of soft tissue and skin infections among emergency department patients in the US - it can cause serious, and even fatal invasive disease. Now on the rise in the hospitals of 31 U. S. states. HA-MRSA infections occur mostly in hospitals and other health care settings, including dialysis centers and nursing homes, and often strike mostly older adults, people having invasive medical procedures, and people with weakened immune systems. CA-MRSA is a leading cause of serious skin and soft tissue infections, entering the body through scrapes and cuts, the researchers say. Controlling Japan nuclear plant could take months. TOKYO - It could take several more months to bring Japan's tsunami-ravaged nuclear plant under control, a safety agency spokesman said Sunday as engineers tried to find a way to stop highly radioactive water from pouring into the Pacific. The Fukushima Dai-ichi nuclear complex has been spewing radioactivity since the March 11 tsunami carved a path of destruction along Japan's northeastern coast, killing as many as 25,000 people. The final death toll is not known because many are still missing. Nuclear safety agency spokesman Hidehiko Nishiyama on Sunday offered the first sense of how long it might take to bring an end to the nuclear crisis, which has forced people within 12 miles (20 kilometers) of the plant to abandon their homes due to radiation concerns. UN evacuates 200 Ivory Coast staff after attacks. ABIDJAN, Ivory Coast - The United Nations mission in Ivory Coast began evacuating some 200 employees after frequent attacks on its headquarters by forces loyal to the country's strongman. A U.N. employee said they were told Sunday that they were leaving. They were taken by helicopter from the U.N. base downtown to the airport. Another helicopter will take them to the northern city of Bouake. Afghan Quran-burning protests enter third day. KABUL, Afghanistan - Afghan protests against the burning of a Quran in Florida entered a third day with a demonstrations in the south and east Sunday, while the Taliban called on people to rise up, blaming government forces for any violence. The desecration at a small U.S. church has outraged Muslims worldwide, and in Afghanistan many of the demonstrations have turned into deadly riots. Protests in the north and south in recent days have killed 20 people. Syrian president appoints ex-minister to form govt. BEIRUT - Syrian President Bashar Assad appointed a former agriculture minister Sunday to form a new government, part of a series of overtures toward reform as the country faces a wave of anti-government protests. Hundreds of people were marching in Douma, a suburb of the capital Damascus, for funerals to mourn those killed in the latest round of protests, which started two weeks ago. At least 80 people have died in clashes with security forces. This world is becoming more violent and chaotic every week. It is also becoming more unstable as God�s new weather patterns punish this earth with torrential rains, earthquakes, tidal waves, and upheavals. This will soon lead to a closing by God of this debt-filled and filthy earth age in the next few seasons of time. Judgment of the mingled people of this world will be the next step in God�s coming glorious revival of His saints and His elected bride here. Therefore, increasing violence and confusion will be seen in the Middle East and elsewhere around this world. Brother will come against brother, and nations will come against each other in chaotic and assorted disbelief. This will lead to the establishment of God�s new day and new holy frontier for His glorious reawakening and purpose to be revealed to this world. The next few seasons of time will bring this great and marvelous event to fruition as our Lord God allows this unforgiveness and confusion to be intensified among many mingled tribes today. For if they do not want to know God or His Son, Jesus, in this late hour, they will perish in a sea of their own iniquity and blood. They will be increasingly agitated to the point of no return as the second and third generational curse of the Canaanites comes to pass. They will want to kill and maim themselves and their adversaries, as the second and third born children of sin and iniquity go increasingly berserk. Jacob's House will be back in two weeks with more current updates. Japan to build 100,000 homes for tsunami survivors. Japan earmarks first $50 billion for post-quake rebuild. TOKYO (Reuters) � Japan's cabinet approved on Friday almost $50 billion of spending for post-earthquake rebuilding, a down payment on the country's biggest public works effort in six decades. The emergency budget of 4 trillion yen ($48.5 billion), which is likely be followed by more reconstruction spending packages, is still dwarfed by the overall cost of damages caused by the March 11 earthquake and tsunami, estimated at $300 billion. "With this budget, we are taking one step forward toward reconstruction ... and toward restarting the economy," Finance Minister Yoshihiko Noda told reporters after a cabinet meeting. Giffords makes Time's 100 'most influential' list. PHOENIX - Time magazine has named U.S. Rep. Gabrielle Giffords as one of the 100 most influential people in the world. President Barack Obama wrote the tribute to Arizona congresswoman in the magazine's May issue, saying Giffords may not have been a household name before she was shot in the head in a Jan. 8 mass shooting in Tucson, but now "she's got the prayers of a nation rooting for her." Obama wrote Giffords is a "model of civility and courage and unity, a needed voice that cannot return soon enough." Europe, especially France, hit by measles outbreak. GENEVA - Europe, especially France, has been hit by a major outbreak of measles, which the U.N. health agency is blaming on the failure to vaccinate all children. The World Health Organization said Thursday that France had 4,937 reported cases of measles between January and March, compared with 5,090 cases during all of 2010. In all, more than 6,500 cases have been reported in 33 European nations. "This is a lot of cases, to put it mildly. In past years we've had very few cases," said Rebecca Martin, head of WHO's office in Copenhagen for vaccine-preventable diseases and immunization. Dozens killed in bloodiest day of Syria uprising. BEIRUT - Syrian security forces fired bullets and tear gas Friday at tens of thousands of protesters across the country, killing at least 75 people in the bloodiest day of the monthlong uprising and signaling that the authoritarian regime was prepared to turn more ruthless to put down the revolt against President Bashar Assad. Hatred of the other tribes in the Arab world is already spilling over and bloodshed is being seen everywhere and in many nations there. This will culminate in a great devastation of many tribes all over the Arab world when God takes out His wrath upon the Canaanites and the other tribes there who are the decendents of the people who hated and warred against His beloved Israel. Obama ramps up recovery help for tornado-hit South. PLEASANT GROVE, Alabama (Reuters) � The U.S. government ramped up efforts on Saturday to help thousands of homeless victims of the country's second deadliest recorded tornado outbreak, which killed at least 350 people. President Barack Obama, who surveyed the tornado destruction in the worst-hit state of Alabama on Friday and called it "heartbreaking," was sending top officials to the disaster zone this weekend to escalate federal assistance. With some estimates putting the number of homes and buildings destroyed at close to 10,000, state and federal authorities in the U.S. South were still coming to terms with the scale of this week's devastation from the country's worst natural catastrophe since Hurricane Katrina in 2005. Thousands of stunned survivors, many of whom had seen relatives and friends killed by twisters that obliterated whole communities, were camped out in the shattered shells of their homes or moved into shelters or with friends. One disaster risk modeler, EQECAT, is forecasting insured property losses of between $2 billion and $5 billion from the havoc inflicted by the swarm of tornadoes that gouged through seven southern states this week. "It is like living in some other world. Devastation is everywhere," said Pastor John Gates of the United Methodist Church in Pleasant Grove, Alabama, a community with a population of some 10,000. Obama Administration Responsible for Record Gas Prices. The oil industry is enjoying record profits as the price for a barrel of oil soars to more than $110. Chevron posted its profit numbers for the first quarter. The numbers were tough to stomach. Chevron reported earnings of $6.2 billion ($3.09 per share, diluted) for the first quarter 2011, compared with $4.6 billion ($2.27 per share, diluted) in the 2010 first quarter. How can these oil companies make so much money while the American people are struggling to make ends meet and fill their gas tanks. Americans are making daily decisions on sacrifices they must make to put food on the table and pay their mortgage as the oil companies are making obscene profits. If the Obama administration allows the oil companies to drill and relieve this pressure, prices will fall almost immediately on a barrel of oil. The speculators will flee oil in a second once we announce the United States will make it a priority to drill. The administration is committed to alternative energy with solar and wind energy policies, but it must not destroy the economy to make it a reality. It must allow the oil companies to spend their profits on drilling new wells and developing alternative energy at the same time. Extraordinary intentional levee breach of Mississippi River halted by lawsuit. In a sign of just how extreme this flooding situation is, yesterday the Army Corps of Engineers, which is responsible for flood control efforts on the Mississippi River, announced plans to intentionally destroy a levee protecting the west bank of the Mississippi River in Southwest Missouri. The destruction of the levee is intended to relieve pressure on the levees at Cairo, Illinois, at the confluence of the Mississippi and Ohio Rivers. Cairo is currently under a voluntary evacuation order. The levee to be destroyed, located at Bird�s Point, is called a �fuse-plug� levee, and was designed to be destroyed in the event of a record flood. The levee protects 132,000 acres of prime farmland along the New Madrid Spillway, which is designed to take 550,000 cubic feet per second of water flow out of the Mississippi and redirect it down a 3 - 10 mile wide, 36 - 56 mile long path along the west side of the Mississippi. Midwest deluge enhanced by near-record Gulf of Mexico sea surface temperatures. The deluge of rain that caused this flood found its genesis in a flow of warm, humid air coming from the Gulf of Mexico. Sea surface temperatures (SSTs )in the Gulf of Mexico are currently close to 1 �C above average. Only two Aprils since the 1800s (2002 and 1991) have had April SSTs more than 1 �C above average, so current SSTs are among the highest on record. These warm ocean temperatures helped set record high air temperatures in many locations in Texas yesterday, including Galveston (84�F, a tie with 1898), Del Rio (104�F, old record 103� in 1984), San Angelo (97�F, old record 96� in 1994). Record highs were also set on Monday in Baton Rouge and Shreveport in Louisiana, and in Austin, Mineral Wells, and Cotulla la Salle in Texas. Since this week�s storm brought plenty of cloud cover that kept temperatures from setting record highs in many locations, a more telling statistic of how warm this air mass was is the huge number of record high minimum temperature records that were set over the past two days. Fierce winds fan Texas, New Mexico fires. Fierce winds fanned raging fires across eastern New Mexico and Western Texas yesterday, thanks to a powerful flow of air feeding into the Midwestern storm system. Temperatures in the upper 80s and low 90s combined with humidities less than 10% combined to make yesterday a nightmare fire day for firefighters attempting to control the worst springtime fires in the history of the region. At 3:53 pm MDT yesterday in Carlsbad, New Mexico, the temperature was 87�F, winds were 38 mph gusting to 46, and the humidity was 8%�a perfect storm for extreme fire weather. In Fort Stockton, Texas near the huge Rock House fire, the temperature was 91�F, winds were 35 mph gusting to 44, visibility was reduced to 5 miles due to haze and smoke, and the humidity was 5% at 5:53pm CDT. According to the Interagency Fire Center, wildfires in 2011 have already burned nearly 2.3 million acres in the U.S. This is the greatest acreage on record so early in the year, and is more area than burned all of last year. The largest U.S. acreage to burn since 1960 was the 9.9 million acres that burned in 2007, so we area already 25% of the way to the all-time record fire year�with summer still more than a month away. The fire weather forecast for today is better then yesterday, with winds not expected to blow nearly as strong. Syrian regime's shells pound Deraa's Roman quarter. Death toll rises to 535 as stranglehold on southern city at the heart of uprising tightens following storming of key mosque. Assad's fall would create shockwaves from Tehran to Tel Aviv. Unrest in Syria has greater potential consequences than any other event in the Arab Spring so far. As decades-old dictatorial regimes crumbled around him in January, Syria's president, Bashar al-Assad, denied that revolution would spread to his country. Balhermep, the Ba'athist concept of "the ruling of the people", would keep his country together. But as demonstrations in towns and villages across Syria seemed only to be spreading last week, even as the regime intensified its crackdown, that notion appeared to be unravelling. The international consequences of regime change in Syria are many and complex. The fallout will be particularly marked in Lebanon and Palestine, and there will also be impacts on the country's alliances with Iran, Turkey, and Iraq, and, perhaps most importantly, on its relationship with Israel. Workers demand better jobs, pay on May Day. ISTANBUL - Activists flooded a central plaza in Turkey's largest city Sunday and marked international workers' day around the world with marches demanding more jobs, better working conditions and higher wages. About 200,000 workers gathered in Istanbul's Taksim Square in the largest May Day rally there since 1977, when 34 people after shooting triggered a stampede. Turkish unions weren't allowed back until last year. In South Korea, police said 50,000 rallied in Seoul for better labor protections. They also urged the government to contain rising inflation, a growing concern across much of Asia, where food and oil prices have been spiking and threatening to push millions into poverty. Thousands of workers also marched in Taiwan, Hong Kong and the Philippines to vent their anger over the rising cost of living and growing disparities between the rich and poor. In the Philippines, about 3,000 workers demanding higher wages held a protest in a Manila square that included setting alight the effigy of Philippine President Benigno Aquino III grinning in a luxury car. Aquino was criticized this year for buying a secondhand Porsche in a country where a third of people live on a dollar a day. In Taiwan, about 2,000 people rallied in Taipei to protest the widening income gap and to demand their government create better work conditions. About 3,000 people in Hong Kong took part in a Sunday morning protest while another 5,000 were expected at an afternoon rally, local media reports said, citing union organizers. In Spain, where the unemployment has reached a eurozone high of 21.3 percent, several thousand people gathered in the eastern port city of Valencia and protested the government's failure to create new jobs. In Moscow, up to 5,000 Communists and members of other leftist groups marched through the city carrying a sea of red flags to celebrate their traditional holiday, what in Soviet times was known as the Day of International Solidarity of Workers. The United States as well as many other nations better prepare for rioting as well as shortages of food, fuel, and water to drink. The end of this earth age as we know it is already winding down by God�s decree. For our God is continuing to pummel the earth with hail, tornadoes, fires, and record temperatures. Poor judgment is also being seen among the leaders in America and in many other nations today. This is coming from the internet and from all of the evil that is being shared among many people today. This evil and sin is being shown to an unprecedented degree and will be the downfall of this current corrupt world. Therefore, the problems in America and in the rest of the world will only get worse in the months to come. It is time for many people to repent of their sins and ask God to forgive them for their evil works and destructive deeds. Otherwise they might find themselves out of God�s light, power, love, and mercy in the coming years, decades, and centuries to follow. Memphis readies for big river; Ky. spared calamity. America�s Middle Class Crisis: The Sobering Facts. Two recessions, a couple of market crashes, and stubbornly high unemployment are all wreaking havoc on America's middle class. The average American is having trouble getting a decent-paying job and keeping up with the rising cost of living. The bottom line is the middle class is shrinking, which threatens the social composition and stability of the U. S. and the world's biggest economy. I worry is they are becoming a barbell society - a lot of money wealth and power at the top, increasing hollowness at the middle-class center, which provides the stability and the heart and soul of the society... and then too many people at the bottom, and many in fear of falling down. The Lord God's curse in the United States is now well under way. For this nation has deserted God and defied His laws and rules for this world. The thinking of the leaders in the United States have also been compromised to the point of bringing death and destruction to many people who live there. Many of them are hampered from managing their affairs and creating any wealth in this desolate nation. Therefore, without God and His Son, Jesus, to lead and revive this corrupt nation, the United States will never be the super power it once was. Instead, it will deteriorate drastically into a poor and desolate wilderness place. All over this world today the Lord God is showing His strength, power, and might. God is showing many areas of this world like Spain with their recent earthquake, and China with their recent red dust blinding storms, that He is unhappy with these areas of this world. Our Lord God is showing how unhappy He is with the US by bringing major flooding to many mid-western states including Louisiana, Mississippi, and Tennessee. As we have stated before on this website when God is unhappy with a nation or an area of this world, He first dries it out with no rain. If God continues to dislike this nation or area because of its sin and wickedness, our Lord God will flood it incessantly to wash it clean of its filthiness. If it this area continues to be sinful, wicked, and idolatrous, our Lord God will then burn it down with a consuming fire. Look around the world today and see how many places this is happening now. It is happening in many nations and cities more and more as we get closer to the end of this earth age. Soon many more of them will suffer under God�s wrathful vengeance in the coming months. They will also be facing His earthquakes, tornadoes, hail, damaged crops, and power flashes against them until the return of God�s glorious Son, Jesus, to His rightful throne. Death toll from Joplin, Missouri, rises to 132. Epic snowfall has been seen in Colorado, Wyoming, Utah, Idaho, and Montana. The US Plain states brace for second flood coming down on Montana, the Dakotas, Iowa, Kansas, Nebraska, and Missouri. The Missouri River will bring record flooding soon to several areas. We are seeing and witnessing the beginning of the end of this era of corruption, false gods, idols, and murderous sin, which has plagued this earth for many centuries now. Many nations today are already beginning to feel the wrath and vengeance of God upon them for their current vain and mischievous ways, and for their refusal of God's ten commandments. They are suffering with scarcities of food, water, and essentials for the fact they have come against the Living God in their midst. Soon the evil people in many of these violent nations will face a plague upon them that is out of control. Then shall the era of this current earth age of consumption, disease, and confusion be over. Then shall our Living God triumph in His glory when He renews this world to the pristine beauty it once knew at His feet. 1 Series of NATO strikes target Tripoli as mission extended. 2. South Dakota governor urges evacuations as flooding looms. 3.Rare twisters leave Massachusetts, like Joplin, Missouri, reeling. At least 2 deadly tornadoes shear the roofs off many city buildings and leave locals in a state of shock. In the prophecy on this website entitled, �The Days of Noah are Here Again�, dated over four years ago on 12/10/06, our Lord God spoke to Jacob about how He was going to destroy the uncircumcised land He was seeing all over this world. Here is an excerpt from that accurate prophecy released several years ago and now becoming a reality. 4. Syria troops renew attack on town of Rastan, at least 15 dead. 5. Yemen fighting halts flights as U.S. sends envoy to region. 6. Protesters celebrate departure of Yemen's leader. 7. Syrian TV says 4 dead in Israeli border gunfire. 8. Toxic German E.coli outbreak caused by new strain. WHO says. HONG KONG/MOSCOW (Reuters) A deadly outbreak of E.coli centred in Germany and spreading across Europe is caused by a dangerous new strain, Chinese scientists who analyzed the bacteria said. The scientists said the outbreak, which has killed 17 and made more than 1,500 others ill in at least 10 European countries and is thought to come from vegetables, carried genes making it resistant to several classes of antibiotics. "This E. coli is a new strain of bacteria that is highly infectious and toxic," said the scientists at the Beijing Genomics Institute in Shenzhen city in southern China who are collaborating with colleagues in Germany. World Health Organization spokesperson Aphaluck Bhatiasevi said the WHO was waiting for more information from laboratories. "This strain has never been seen in an outbreak situation before," he said. The outbreak of the new strain of E.coli bacteria in Germany is because of the innocent Jewish blood that was shed there during World War II. Many mass graves and internment concentration death camps were near where this E.coli outbreak has recently occurred. This innocent Jewish blood has never been rectified in heaven, and God is now rebuking and judging Germany for her past sinful ways towards His chosen people. This E.coli problem Germany is having today is also because of the farm land being poisoned and continuously polluted and depleted because of the fertilizers being used to increase crop yields at all costs. They are not giving the farm land the rest that it truly needs to prosper and survive. This has created a situation which has allowed the E.coli bacteria to mutate into a more dangerous, new and deadly strain, or unknown plague. Deadly fungus strikes Joplin tornado survivors, volunteers. Recession risk in U.S. Small, but growing. Wildfires and drought plague much of the southern U.S.
Gadhafi forces kill 22 rebels in Misrata. Syrian troops move into restive town. BEIRUT (AP) - Under the rattle of heavy gunfire and loud explosions, Syrian army troops and tanks moved into a restive northwestern city from two sides Sunday, extending the crackdown on a region that is historically hostile the Damascus regime. Arizona fires: Wallow grows to 430,000 acres. The Wallow Fire has grown to 430,000 acres, and officials expected winds and dry weather to be a challenge in containing the second-largest fire in Arizona history. Officials blamed winds and the fire's shape for the steep increases in size. "It's so long that even if it moves a little bit, it adds probably 10,000 to 20,000 acres a day," said incident commander Clay Templin. As of Saturday, the Wallow Fire was 6 percent contained. But no additional homes or buildings were lost. At least 50 have been destroyed so far. And no injuries were reported. The reason there are wildfires in southeastern Arizona, which are now spreading into southern New Mexico, are because God is angry at the thieves, pillagers, and fornicators the US is allowing into God's land. Therefore, God is angry at the US and He is using fire to burn the cities and areas down He is displeased with. It is a known fact today the US is allowing terrorists, drunkards, fools, and enemies of God to come into the southern states through the US border there. These enemies of the cross are getting God's anger and jealousy to be kindled to a high degree. They are allowing God's laws and rules of order here to be ransacked, pillaged, and destroyed. Therefore, shall they pay the price of their iniquity and wickedness with their lives. The yield on the US crops will be low and damaged in the coming days. The water supply will also dwindle in the US and other places around the world until the second coming of our Lord Jesus is realized. For it is a time of scarcity, famine, consumption, travail, depravity, and trouble on God's holy calender today. These things of scarcity, famine, etc., cannot be changed or altered by anyone but our Creator. Scientists predict rare 'hibernation' of sunspots. WASHINGTON (AFP) - For years, scientists have been predicting the Sun would by around 2012 move into solar maximum, a period of intense flares and sunspot activity, but lately a curious calm has suggested quite the opposite. However, according to three studies released in the United States on Tuesday, experts believe the familiar sunspot cycle may be shutting down and heading toward a pattern of inactivity unseen since the 17th century. The signs include a missing jet stream, fading spots, and slower activity near the poles, said experts from the National Solar Observatory and Air Force Research Laboratory. "This is highly unusual and unexpected," said Frank Hill, associate director of the NSO's Solar Synoptic Network, as the findings of the three studies were presented at the annual meeting of the American Astronomical Society's Solar Physics Division in Las Cruces, New Mexico. "But the fact that three completely different views of the Sun point in the same direction is a powerful indicator that the sunspot cycle may be going into hibernation." Hill said the current cycle, number 24, "may be the last normal one for some time and the next one, cycle 25, may not happen for some time. "This is important because the solar cycle causes space weather which affects modern technology and may contribute to climate change," he told reporters. Experts are now probing whether this period of inactivity could be a second Maunder Minimum, which was a 70-year period when hardly any sunspots were observed between 1645-1715, a period known as the "Little Ice Age." "If we are right, this could be the last solar maximum we'll see for a few decades. That would affect everything from space exploration to Earth's climate," said Hill. Solar flares and eruptions can send highly charged particles hurtling toward Earth and interfere with satellite communications, GPS systems and even airline controls. Geomagnetic forces have been known to occasionally garble the world's modern gadgetry, and warnings were issued as recently as last week when a moderate solar flare sent a coronal mass ejection in the Earth's direction. What these scientists refuse to see is that God is causing the sun, the earth, and the moon to change drastically before their eyes. God is causing many signs and wonders to be seen all over this world, which are signaling that this corrupt and filthy earth age is on its last breath. Soon the end of this world as we know it will be at hand. Then shall a visitation from our Lord God be seen here, when He takes His faithful sons and daughters home. Then they will arrive into God�s faithful and loving arms, through His only Son, Jesus. They will then arrive into God�s faithful waiting and loving arms. US Rep. Giffords released from Houston hospital. Her words are back more and more now, but she's still using facial expressions as a way to express herself. She is able to point and Gesture, add it all together, and she's able to express the basics of what she wants or needs. But when it comes to a bigger and more complex thought that requires words, that's where she's had the trouble. It is a known fact to anyone who has the eyes to see today that many prophecies in the Bible are being fulfilled at this time. The miracle release of Republican Giffords, after being shot in the head at point blank range, is just one of these many prophecies in Revelation that are being fulfilled today. Prophecies from our Lord God in Daniel, in Joel, in Jeremiah, in Zephaniah, etc., are also being fulfilled in record numbers today. Therefore, soon God�s new day and new time will become a reality for the faithful and devoted children who love Him and His Son, Jesus. They will be able to survive the death filled slaughter of the goats which is coming to this world. Bald eagles attack post office at Alaska port. ANCHORAGE, Alaska (Reuters) - A pair of bald eagles nesting near the Post Office in Dutch Harbor, Alaska, has taken to dive-bombing customers, in one case drawing blood, authorities said on Tuesday. Death toll in Karachi Pakistan unrest rises to 20. The pain of Greece's crisis. NEW YORK (CNNMoney) - Once again, Greeks are protesting new austerity measures being forced upon them by their European neighbors in exchange for relief from a debt crisis. The streets of Athens are rife with rioters throwing fire bombs and clashing with armored police. High winds, temps propel Southwestern wildfires to thrive. Syrian army enters village near Turkish border. Thirty-six wild fires rage in seven US states. Tens of millions of acres burned in Arizona, New Mexico, and Texas. State of emergency declared as several new wild fires are out of control on the eastern coast of North Carolina, USA. Drought conditions in Georgia force people to buy water as their wells dry up. New tick bites in New England and New York now causing new serious infection to spread. Major flooding being seen in Eastern China. Millions evacuated from their homes. Major flooding seen in Midwest area of US as levees are breched in Nebraska and North Dakota. Four thousand homes in North Dakota under water. Forty-three tornado outbreak damages parts of Midwest US. Major bank in Europe on the verge of defaulting. Euro currency now in serious trouble. Extreme drought conditions for lack of rain in Texas, forces water restrictions. God�s multiplying effect is in order and happening today. Therefore, many areas around this world will have trouble functioning and surviving the next few seasons of woe, trouble, dread, and drought. God shall test and try the rulers in many nations for their idolatrous, corrupt, and lascivious ways. He will also purge this world of the innocent blood that was spilled upon the land in many nations, with great fires and tribulation. Then shall a new baby be born from a cleansed and perfect womb. 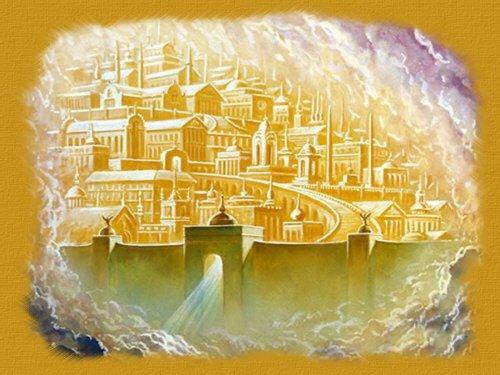 Then shall God�s new day of holiness be seen here as never before.